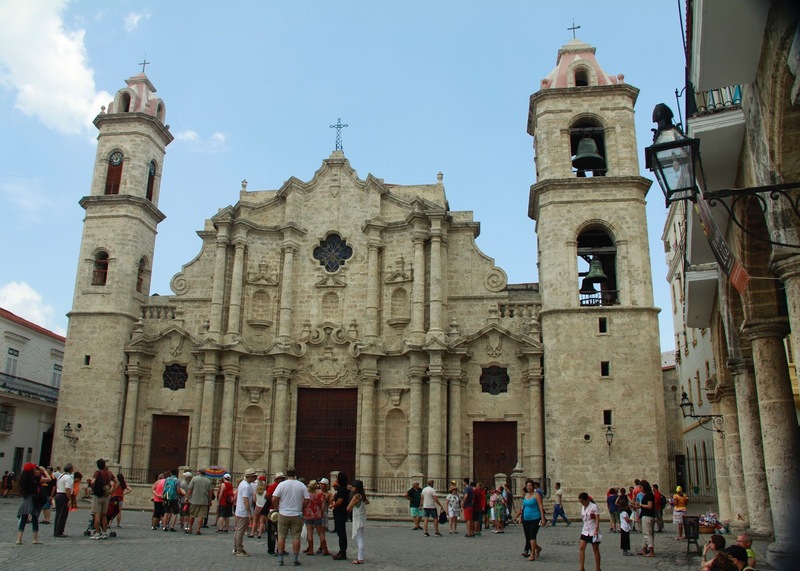 Havana is the largest and most populated city in the Caribbean and Old Havana is a UNESCO World Heritage Site. 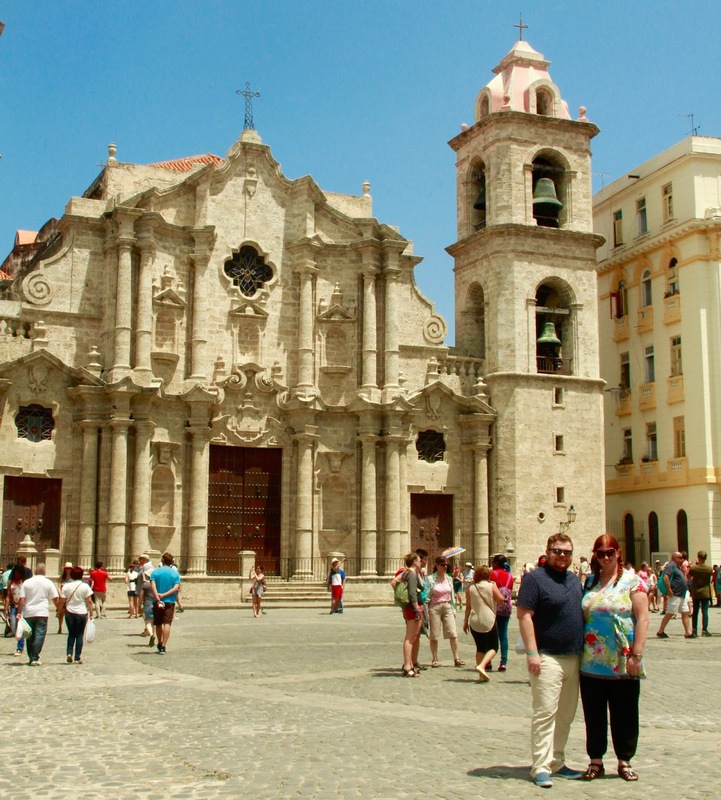 Founded in the 16th century by the Spanish, the city attracts over a million tourists annually and is known for it's culture, architecture and monuments. 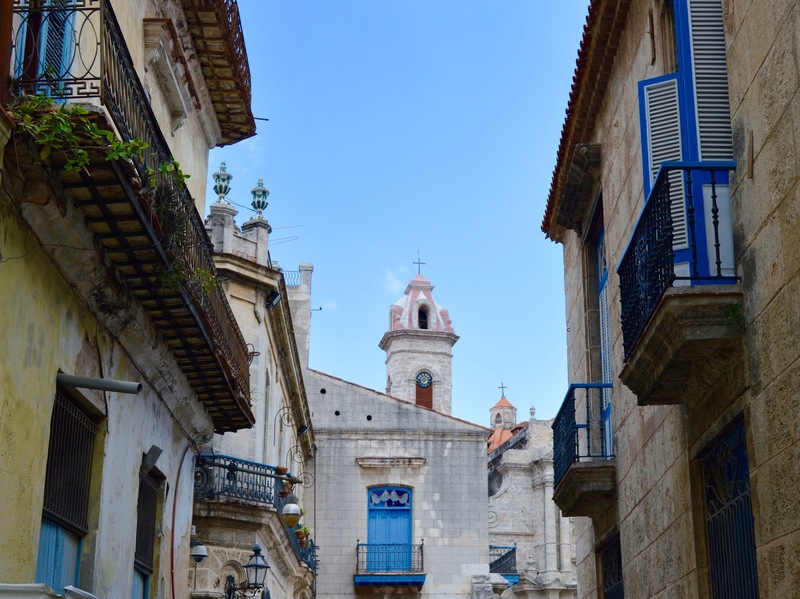 Havana is a trendy destination for tourists now and has been on our list of places to visit for what seems like forever. 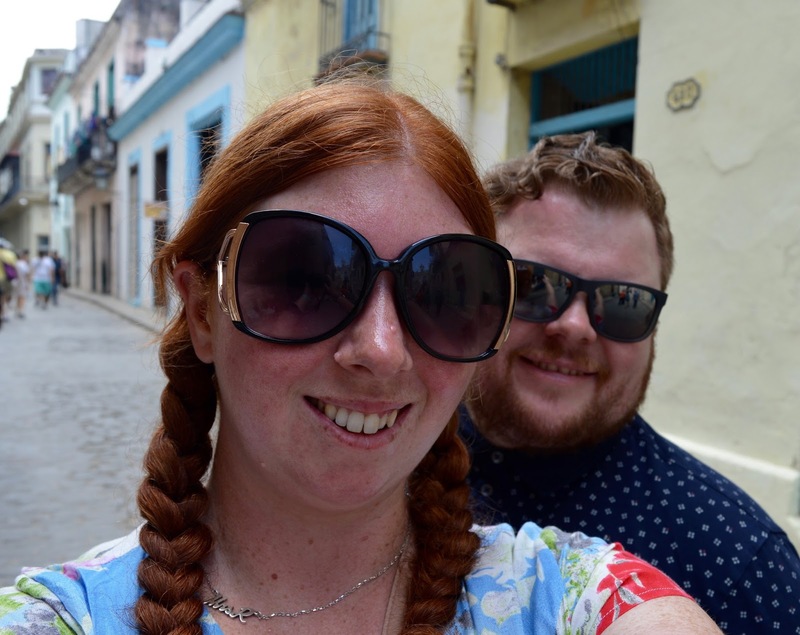 We planned our entire child-free holiday to Cuba around visiting Havana and it was definitely central to our plans. We considered various options for visiting the city. The first was the generic Thomas Cook bus tour from our hotel. This was priced at £89 per person and we pretty much discounted it straight away. In our opinion, large bus tours don't allow you to get a real feel for a city, are far too touristy, not at all personalised and do not offer the best value for money. 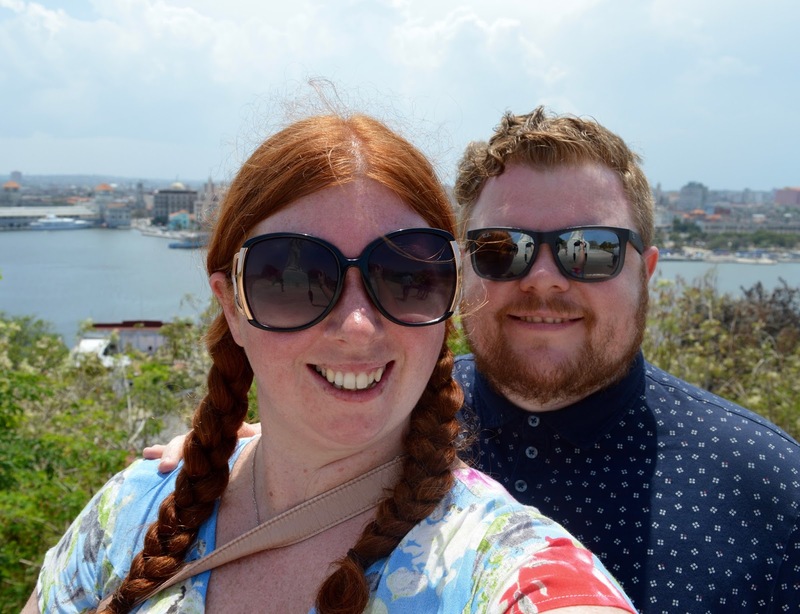 Our second option was to book into a private Casa in Havana overnight and book a taxi to take us from our Varadero hotel and back again and take a look around the city at our own pace. If we'd had more time, I would have went with this option but the expense and time taken away from the all inclusive hotel we'd paid for meant that this would not work out to be the best value for us. Plus, we really wanted a guide to show us around so we wouldn't miss anything. 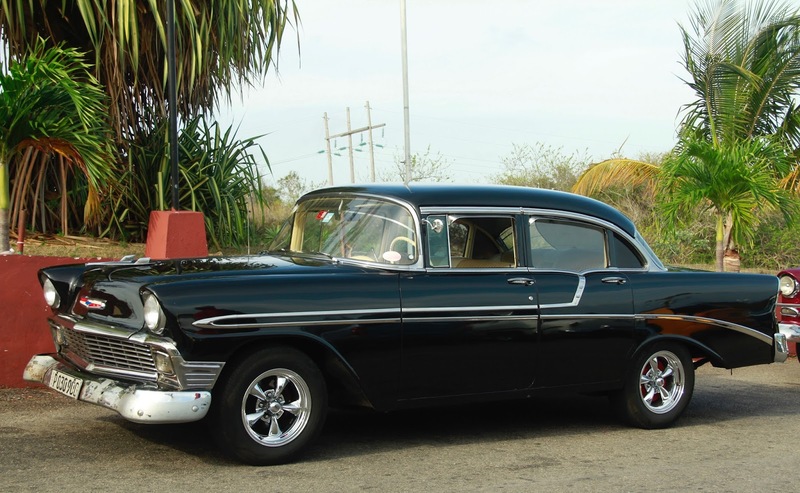 Our third and final option was to book a private guide and taxi driver who could take us to Havana and back from Varadero in a classic car in one day. This is the option we went with in the end. So the hunt was on to find the perfect tour for us. I used Tripadvisor, good old google and a couple of Facebook groups to research. I emailed 4 different companies that offered this service and Havana Memories were the only ones who replied. 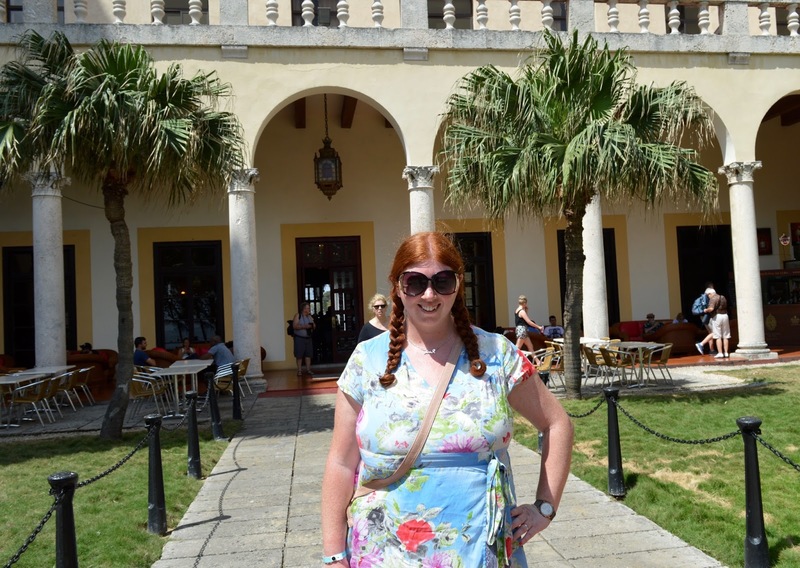 I know that the internet isn't the best in Cuba so I will let the other ones off and it all worked out well in the end as Havana Memories turned out to be the best option for us. The tour costs around £130 for 2 people or £200 if you'd also like to add the photography bundle. 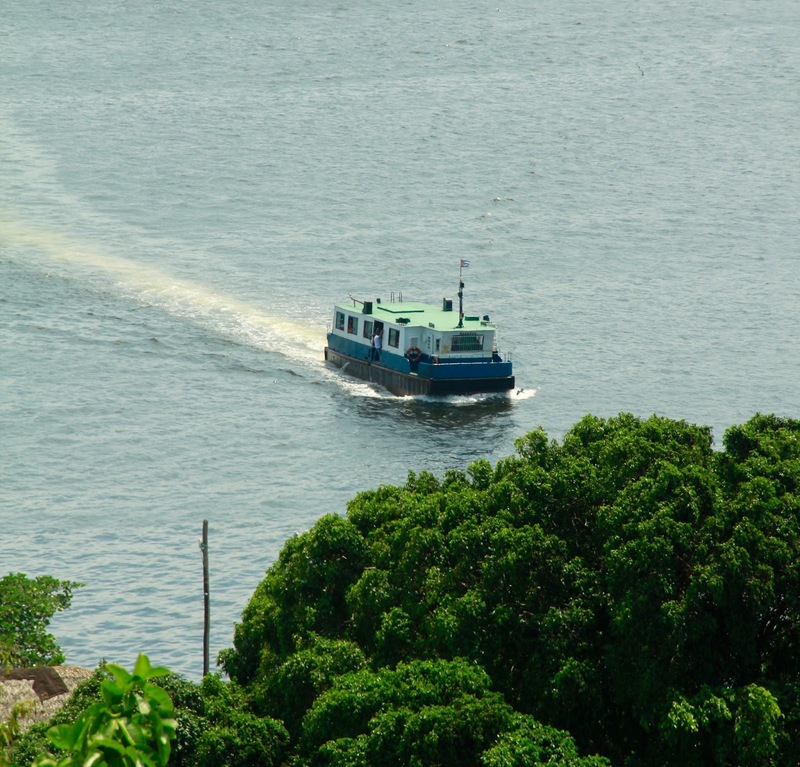 This price is based on 2 people and extra passengers are charged at £20 per person. Comprehensive instructions are sent via email before your trip with your confirmation and you don't pay a deposit - you pay in cash at the end of your trip. I must admit it was weird sitting in our hotel lobby wondering if they were going to show up or not. It turns out we had nothing to worry about though and just as the Thomas Cook bus pulled up to take their clients away for the day, our guide Jorge appeared and introduced himself. Jorge was so lovely. We opted for the photography bundle as Steve and I don't have many photographs together so the photos in this post are a mix of our own plus Jorge's. He took around 120 images in total for us. He can burn them on CD for you or you can take an SD card for him that he can pop in his camera. This was we did. I had severe camera envy - Jorge's camera was way better than mine! We had a good 10 minute chat at the beginning and decided where we wanted to go. 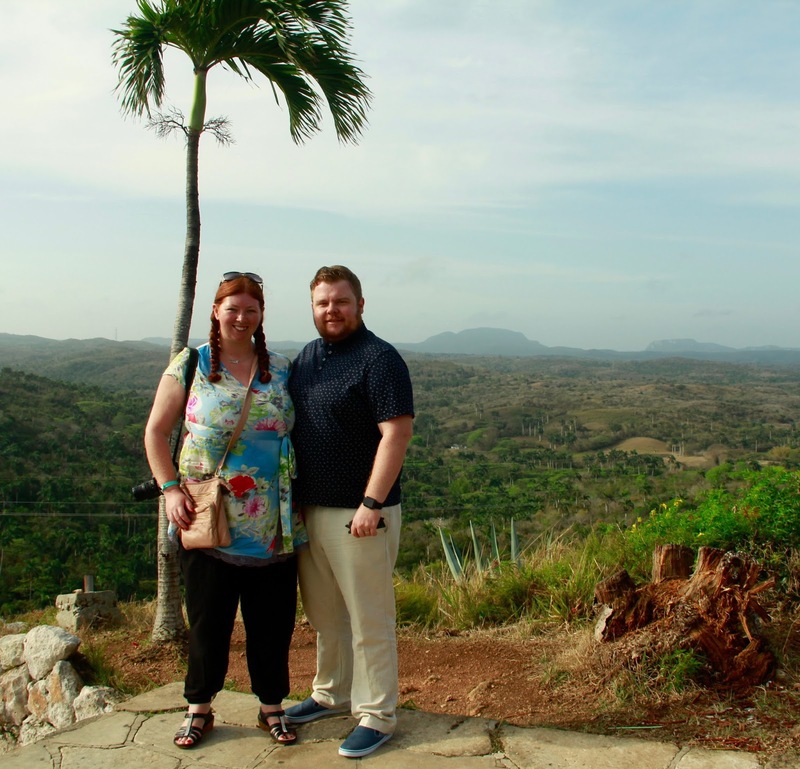 We didn't want to go shopping and had already bought our cigars and rum from Varadero which Jorge took into account. 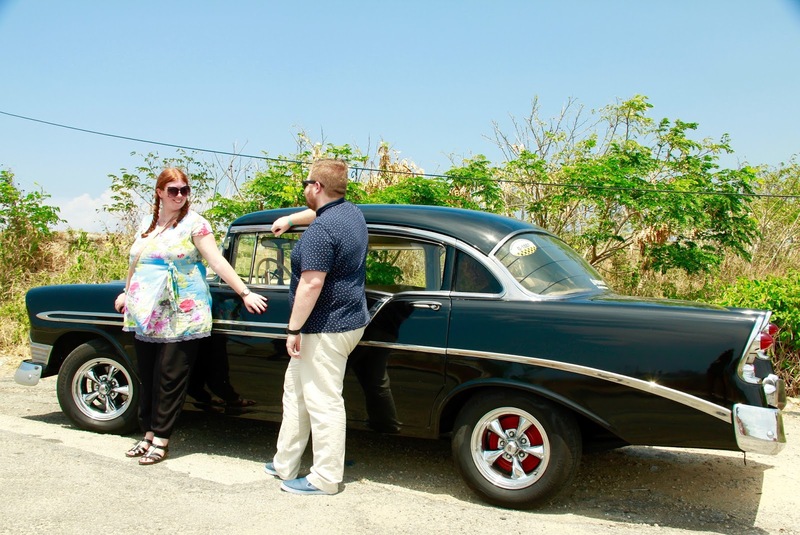 We met our driver, climbed into our 1956 air-conditioned Chevvy (with no seat belts might I add which is common in Cuba) and then we were off afgain. 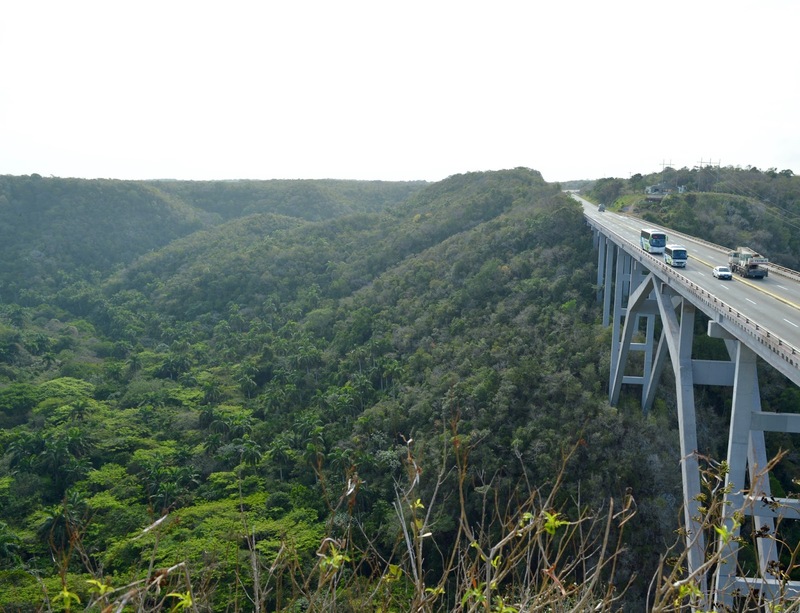 Our first stop was the city of Matanzas and Bacunayagua bridge which the highest bridge in Cuba. 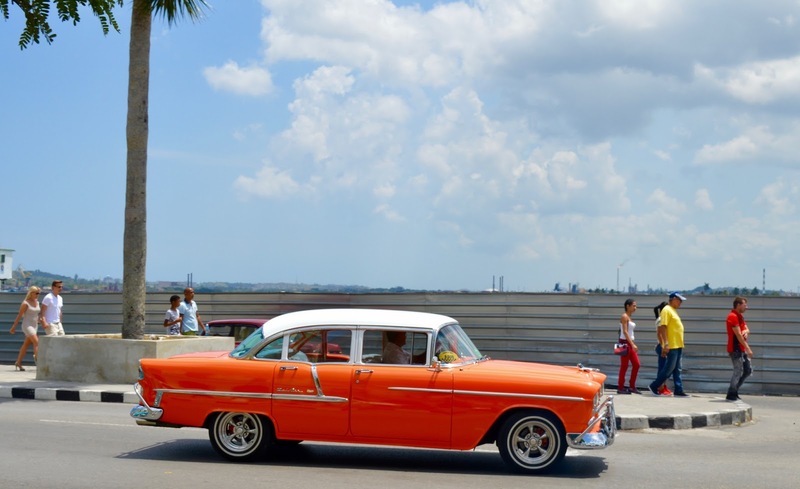 I loved driving through Matanzas and watching regular Cubans going about their daily life. In fact our driver stopped at the Post Office here to post an important letter so we got to drive around a few of the side streets off the main road which was interesting. 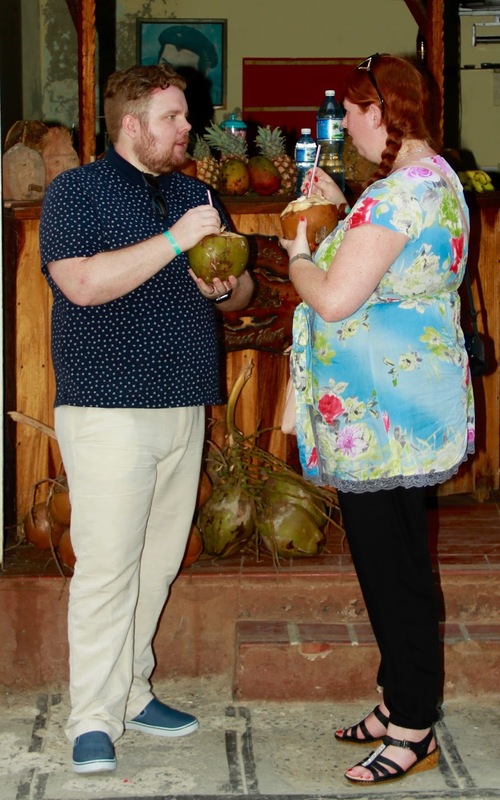 The area around Bacunayagua bridge did feel a little touristy for us - with Pina Coladas for sale in pineapples (around £3 and you can add as much rum as you'd like), a traditional band playing and asking for tips and a few market stalls. There weren't any big bus trips here but it did seem to be the place that most private guides would bring their guests. There was no pressure to buy anything though and the views for me were worth it - stunning! 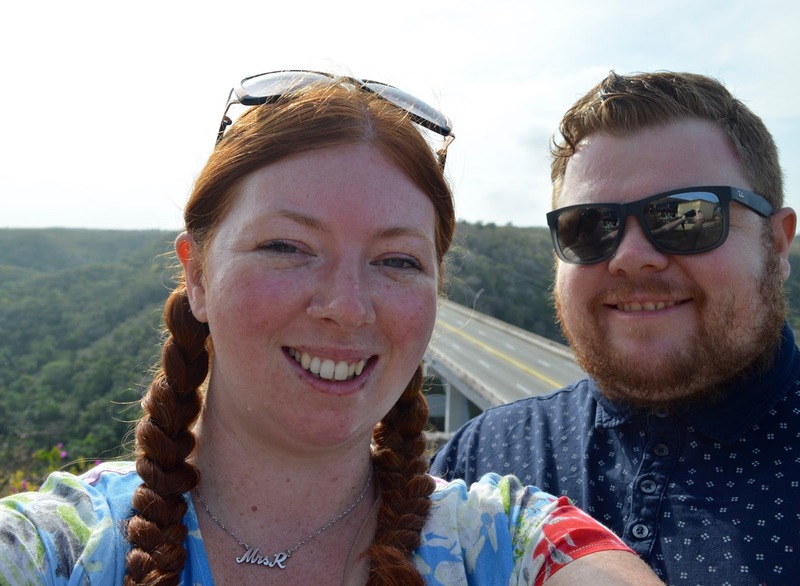 The bridge is 110 metres above the ground. A quick loo break and we were off. It takes around 2-2.5 hours to get to Havana from Varadero and although the roads are mostly motorways (they're in very good condition). 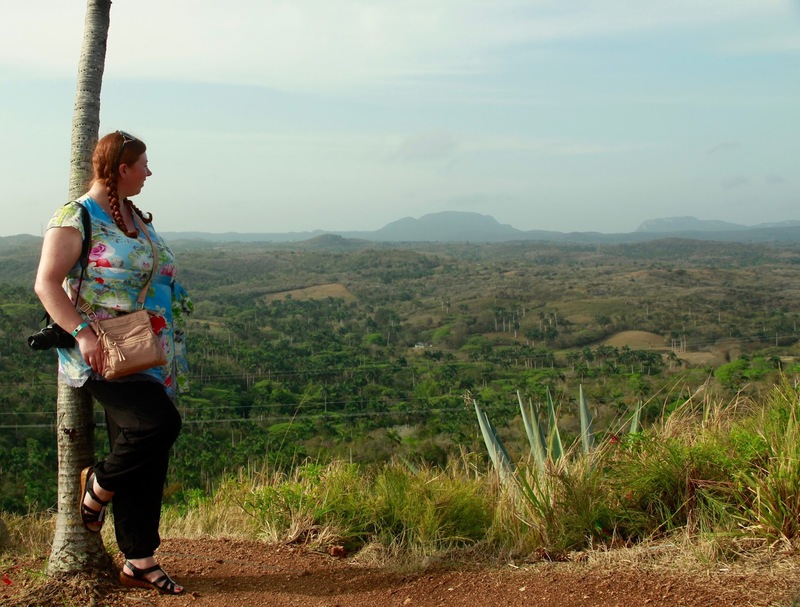 The time passed by quickly and there was always something to see from the window from farmers working in the fields, to traditional Cuban houses and of course, lots of classic cars. 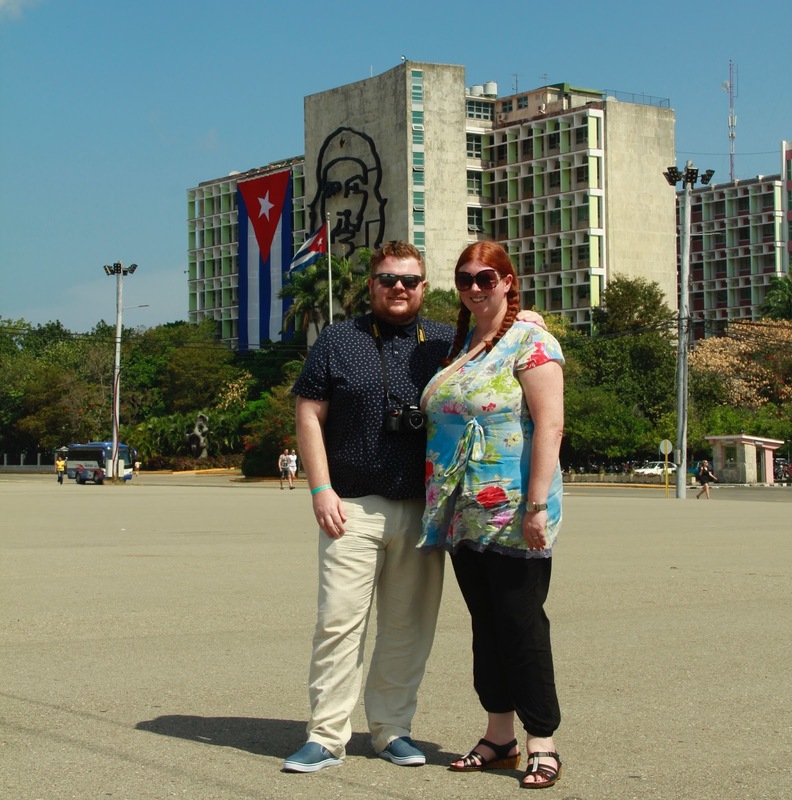 Our first stop in Havana was the Plaza de la Revolucion. 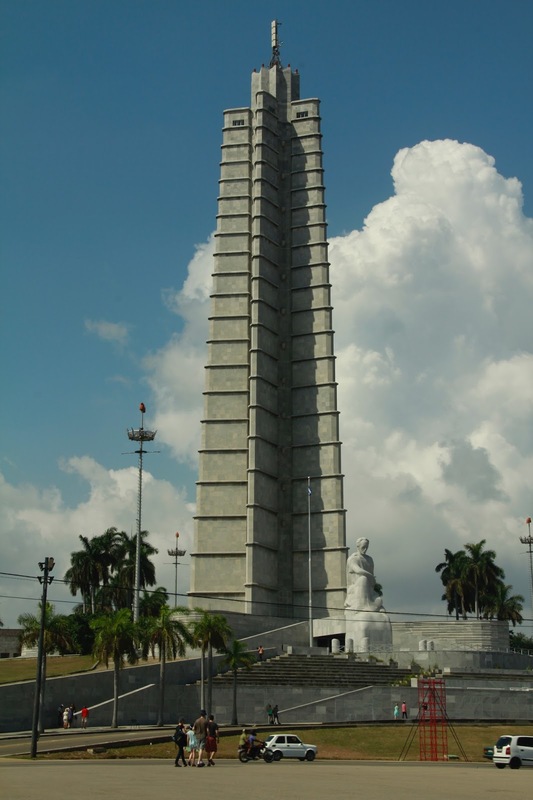 Probably Havana's most famous square and in fact, it's the largest square in the whole world. 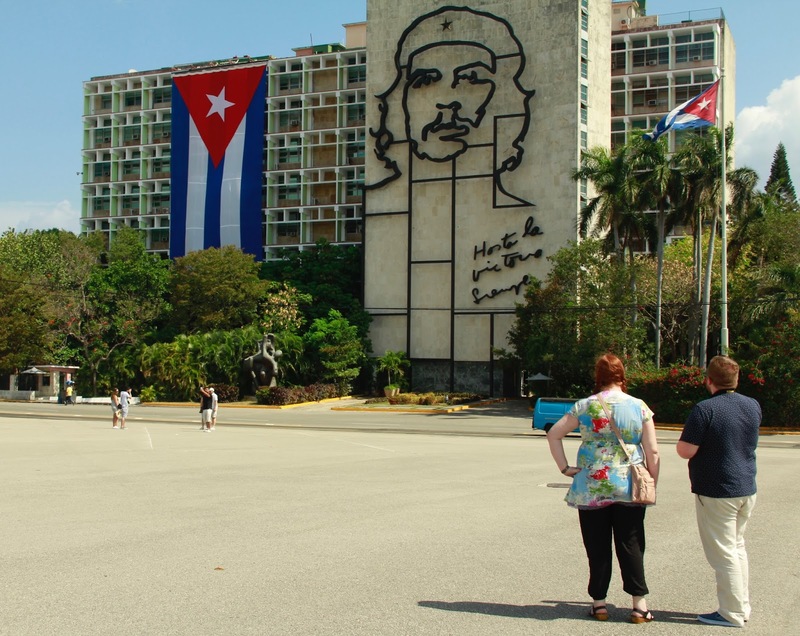 Fidel Castro addressed over 1 million Cubans in this square during the Cuban revolution and Jorge really painted a picture for us as he described the square's history to us. Jorge had the knack of bringing history to life and I could really visualise the square being packed out during rallies. 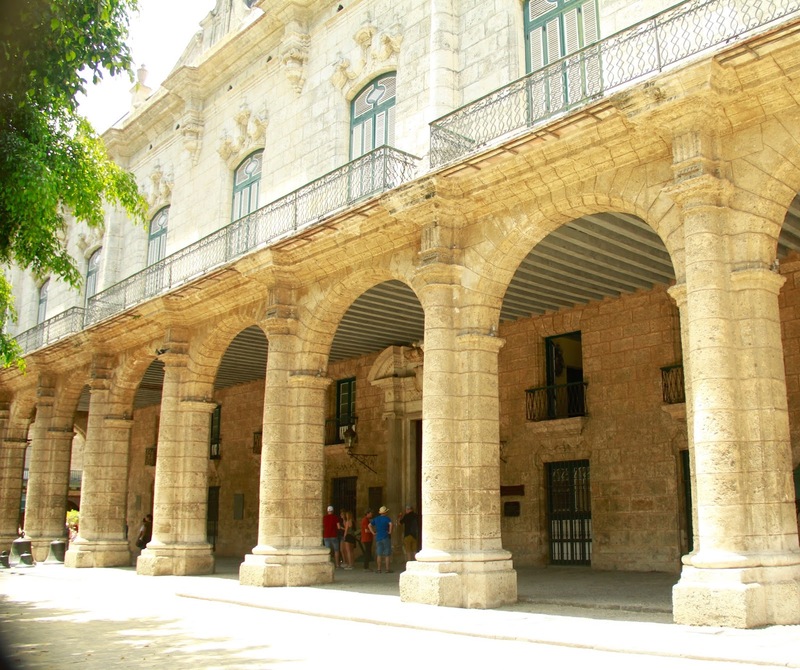 The square is still used today and Cubans visit during national holidays. Apparantly the longest speech ever given here was over 6 hours long! Wow! 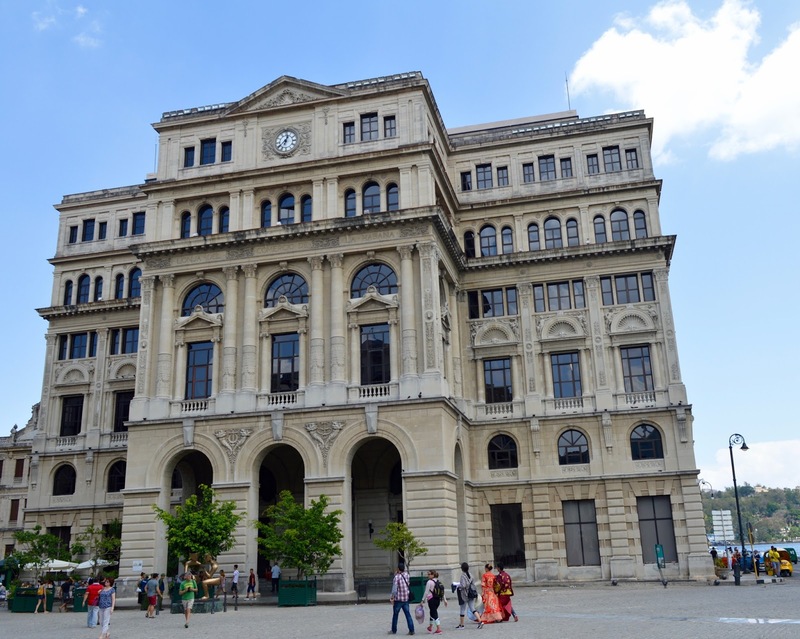 The square forms part of new Havana and is surrounded by Government buildings. 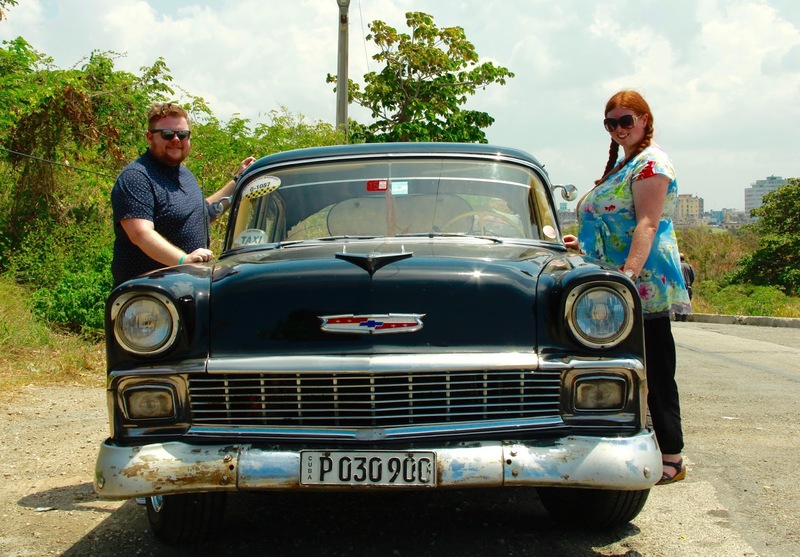 After exploring the square we hopped back in our car for a cruise down the Malecon. 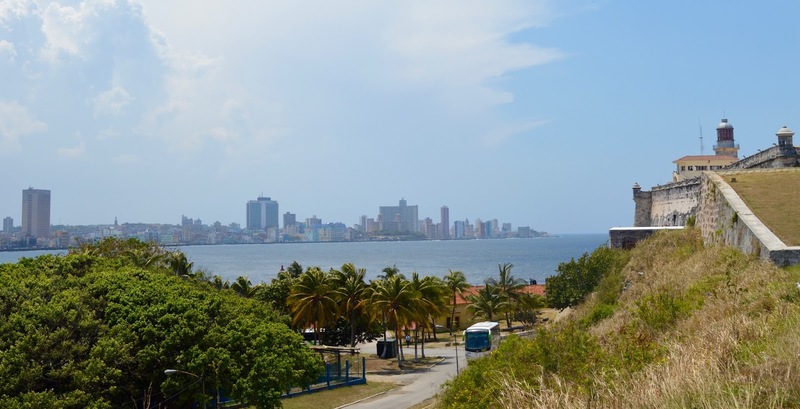 The Malecon is a 5 mile stretch along the coast and where the folk of Havana hang out and listen to music at night. 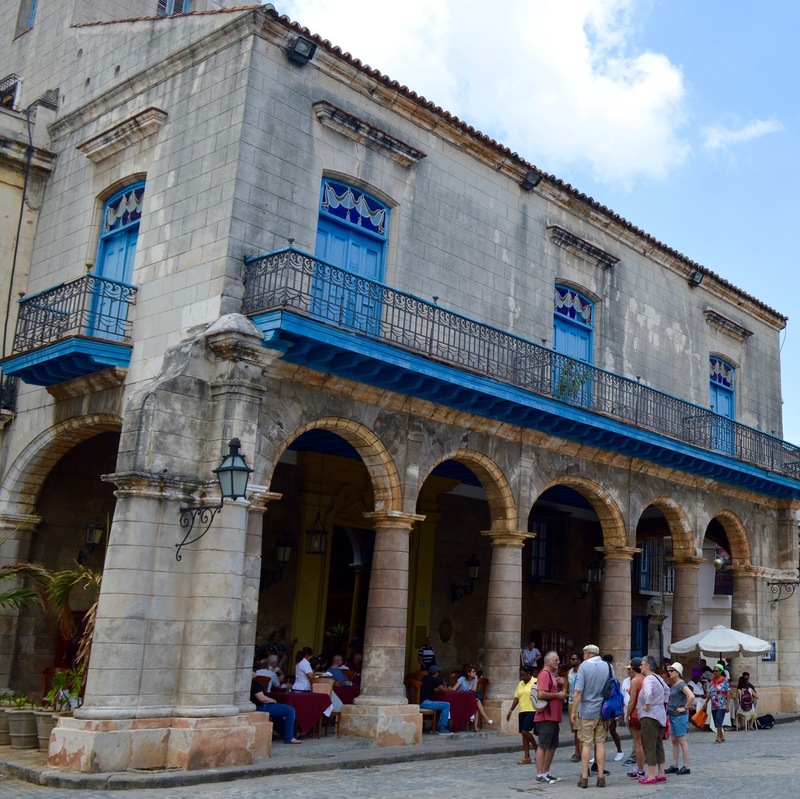 It's fairly quiet during the day and I know on our return to Havana we'll definitely take an evening stroll here and take in the atmosphere. 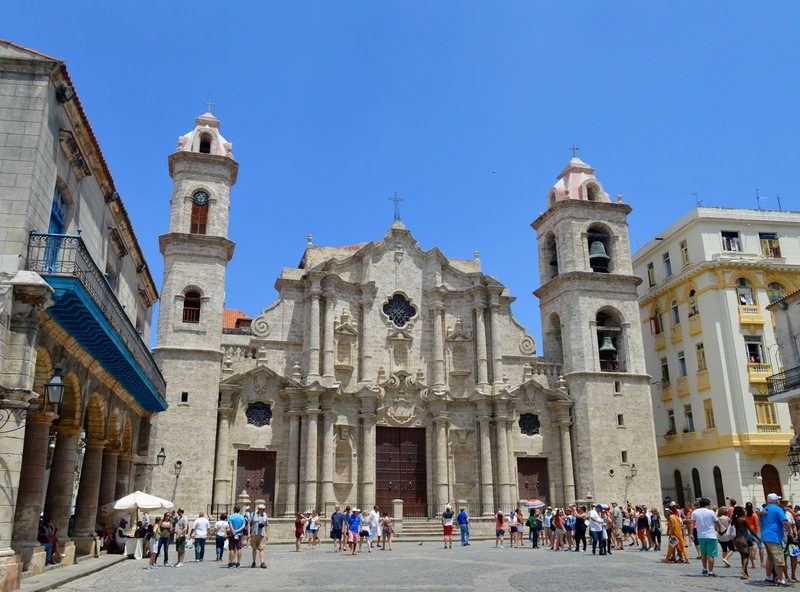 I hadn't researched much about Havana before our trip if I'm honest as it was mainly Steve who wanted to visit and I trusted our guide would take us to all of the main sites. 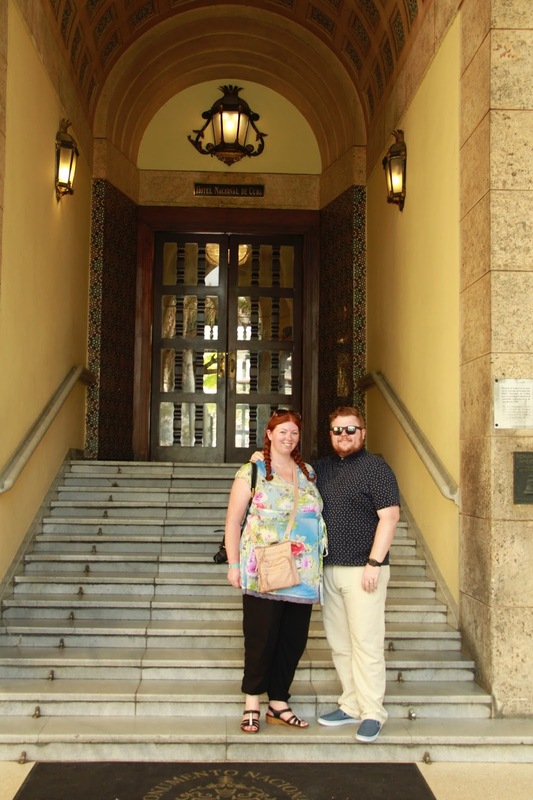 Our next stop was the Hotel Nacional de Cuba. 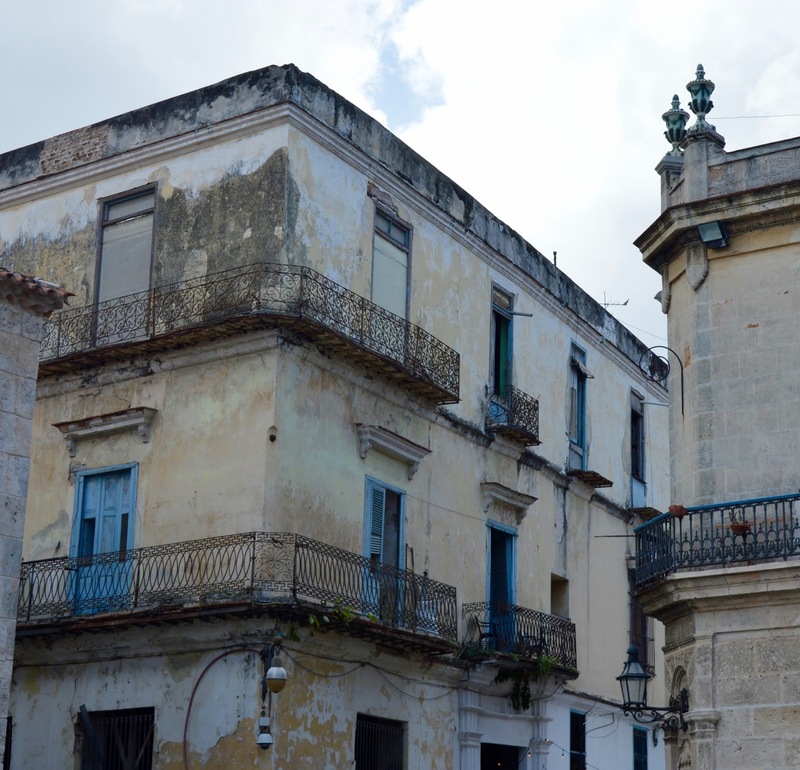 If you'd like to stay here for the evening, rates are set at around £500 - £1700 per night which is an extortionate amount for Cuba (a country where most residents earn under £100 per month). The hotel is certainly impressive though. Jorge instructed us that sometimes tourists are allowed inside, other times they aren't (especially if a dignitary or celebrity is staying here) and sometimes you are asked to pay. He advised us if we were asked to pay we should just say no thank you and walk out. Thankfully all was ok and the doorman let us inside without any issues. 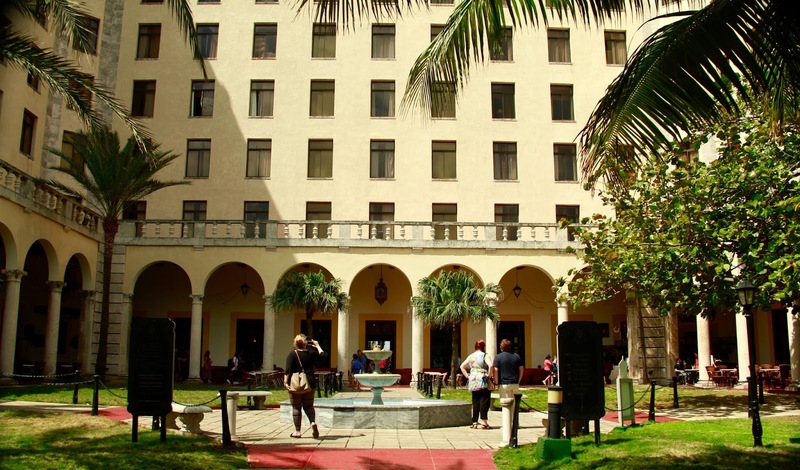 The hotel is so elegant and most of it's original features from the 1930s remain. It feels as if you are stepping back in time. 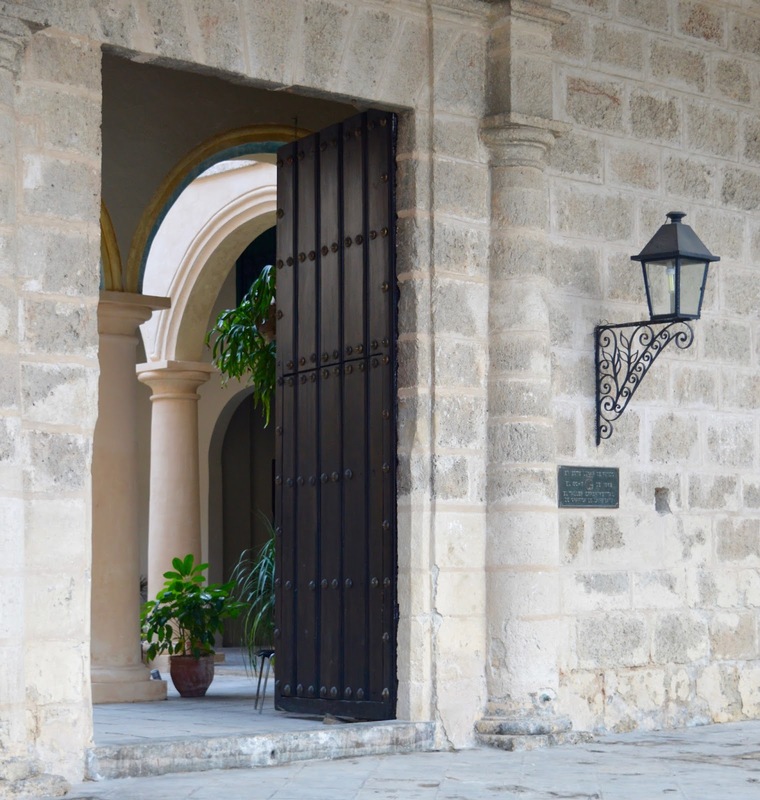 When we return to Cuba, we have vowed to spend at least one night here. If you've seen the Godfather II, the real life version of the meeting between the most powerful families of the Mafia happens at this hotel. This is when Jorge once again was invaluable as he painted a picture of various mobsters sitting out on the terrace with their cigars and rum as Frank Sinatra entertained them. They made plans to build Las Vegas here and it's as if the scene was being played in front of our eyes as Jorge transported us back to the 50's. After strolling around the hotel's stunning 1930's lobby and terrace which offers gorgeous views out to sea, Jorge took us up to the hotel's exclusive bar and casino which is packed with memorabilia and photographs of various celebrities who have visited and stayed here over the years. I even spotted Justin Bieber and the Backstreet Boys. 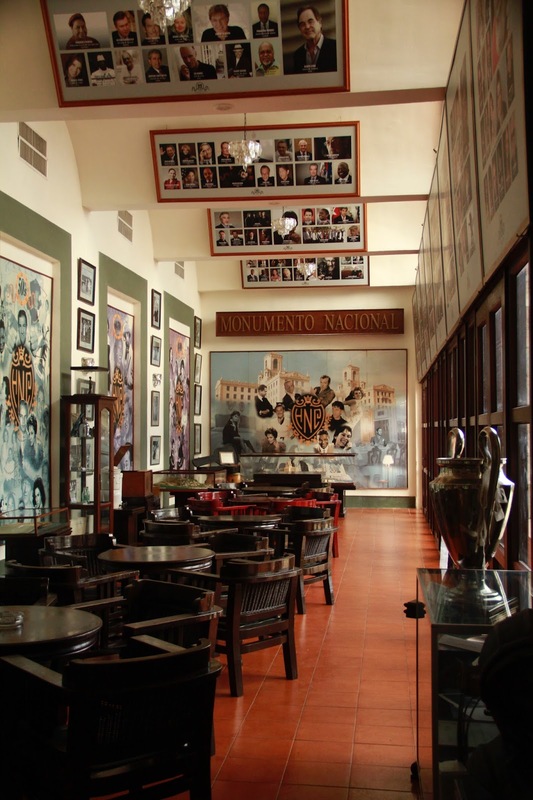 It's more like a museum than a bar and if Jorge hadn't have been with us we'd never have found it as it's quite tucked away. 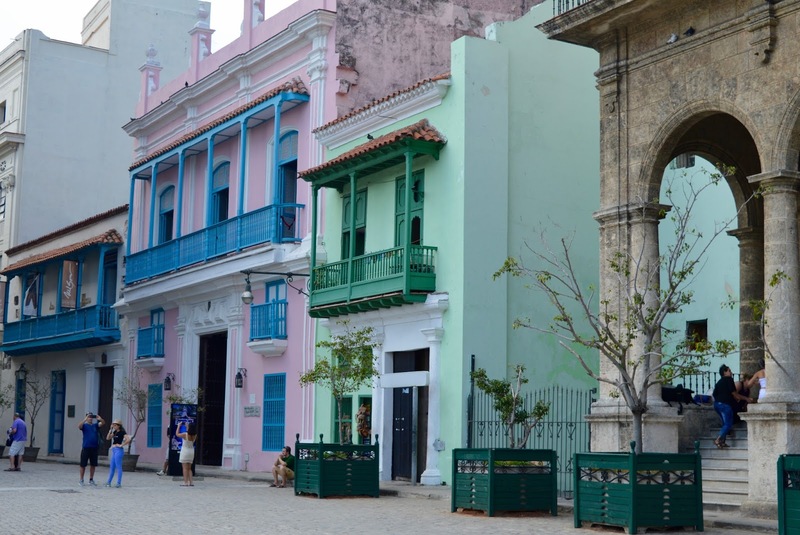 The next part of our tour took us to old Havana. Cars aren't allowed in this part of the city so our driver left us for a few hours at this point. 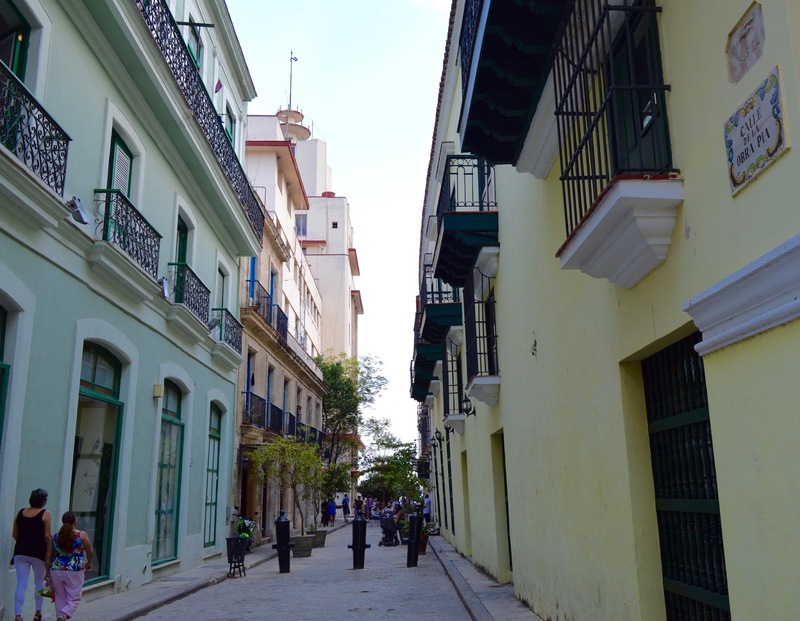 I felt completely safe walking around the streets of Havana. 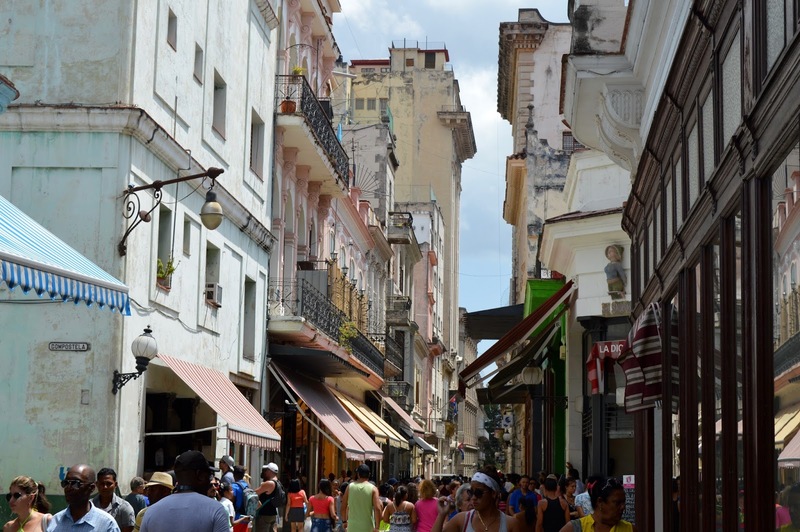 Crime is relatively low in Cuba and there is a lower risk of terrorism here than other parts of the world. There is a strong police presence but they are all quite happy and friendly - posing with tourists ect..... but the biggest thing I noticed about Havana was how little you are hassled. You can walk into a shop and browse a market stall without being hassled which is fairly rare in tourist areas these days and we only saw one person begging on the streets. Begging and being hassled is a lot more of a problem in my home city of Newcastle than Havana was. 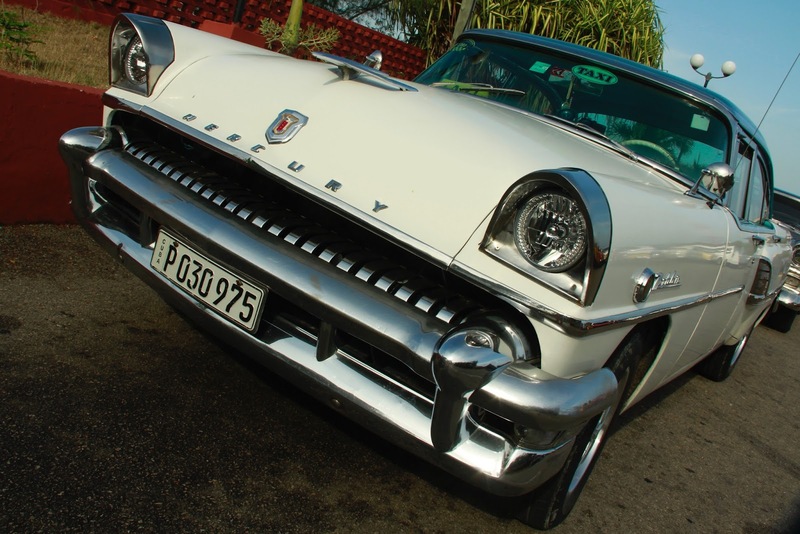 Jorge knows Havana like the back of his hand. We'd be walking along the street and all of a sudden he'd open a door and inside we'd find a live band playing and people dancing and having a good time (even at 11am in the morning). 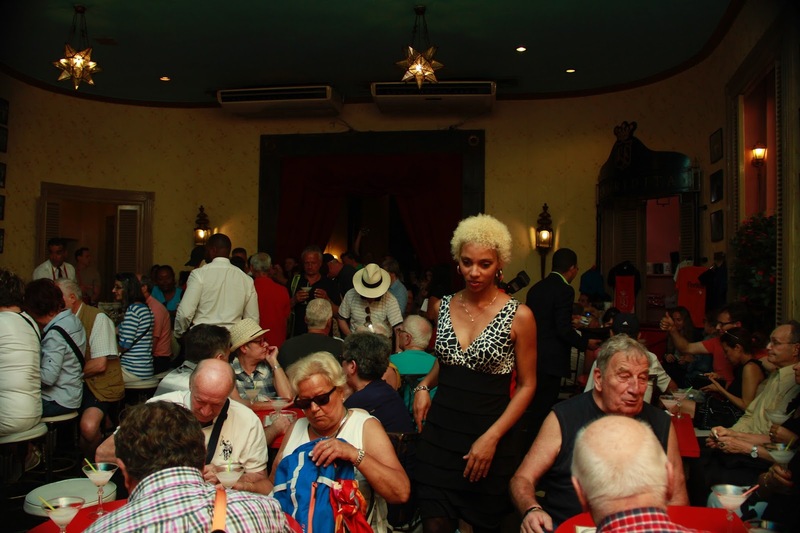 There is so much live music in Havana and it's definitely a party city. The above photograph was taken in Restaurante Floridita which was said to be Ernest Hemmingway's favourite bar. As you can see, everyone comes here to try a famous daiquiri. 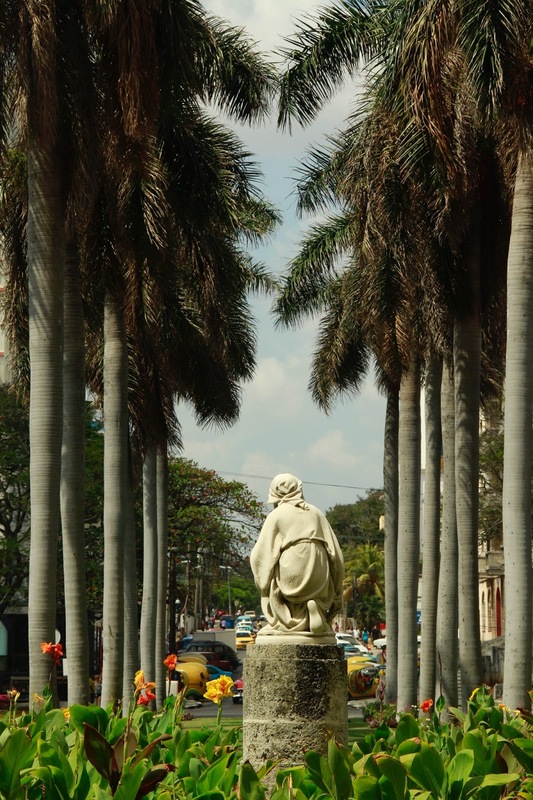 Nothing will prepare you for the architechture in Havana. It's stunning and I just wanted to photograph everything! There are several squares and Jorge pointed out various famous landmarks to us as we walked through the streets. Jorge was a real character and as we were walking around the streets of Havana he popped into a couple of shops to buy something (usually a photography prop). He works 7 days a week and this is often the only time he gets to shop and he told us that if you spot something you want in Havana, you need to buy it there and then otherwise it will be gone when you return. As Jorge shopped, we just went ahead for 5 minutes and soaked up the atmosphere which suited is just fine and stopped the whole experience from being so full on. 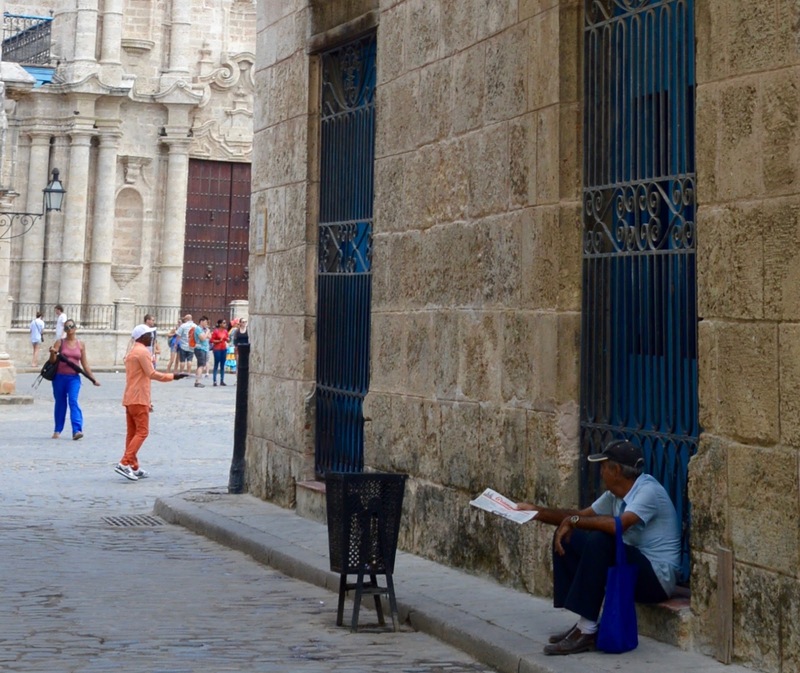 As well as your typical man sitting on a step reading a paper/smoking a cigar, there were some sights around Havana that we didn't expect and that Jorge explained to us. We often spotted girls walking around head to toe in white and Jorge explained these girls are following the Santeria religion and this is part of the initiation process. Santeria originated in Cuba's slave plantations in the 18th century and involves animal sacrifices, possession and rituals. We also spotted a girl celebrating her 'Quinceaneara' which is a Latin American tradition that celebrates a girl's 15th birthday and the transition from girl to woman. The celebration includes choreographed dancing and the girl we spotted was dressed beautifully in a pink prom-style dress. It was so handy having Jorge on hand to explain everything as if he hadn't have been there, I doubt we'd have known what was going on. 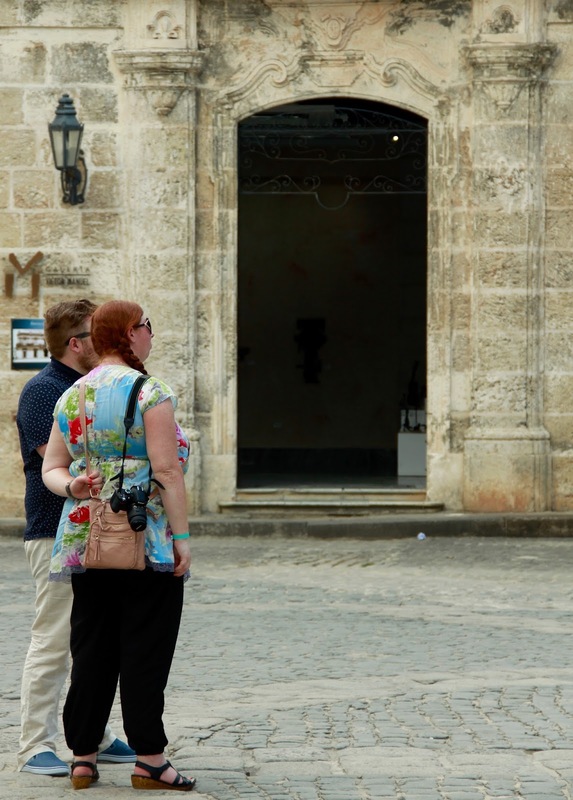 We also spotted a few people with dressed up cats (bizarrly) who were posing for photographs with tourists, again, not the image I had in mind when visiting Havana. It really is a colourful city with something new to see around every corner you turn. We popped into the 'Taquechel Pharmacy Museum' for 5 minutes. 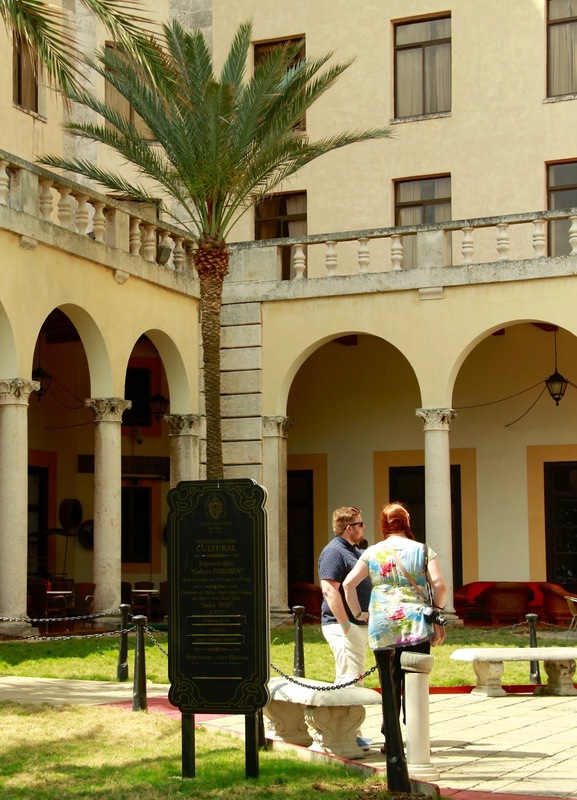 The museum is free to enter and a restoration of a former Johnson and Johnson pharmacy. 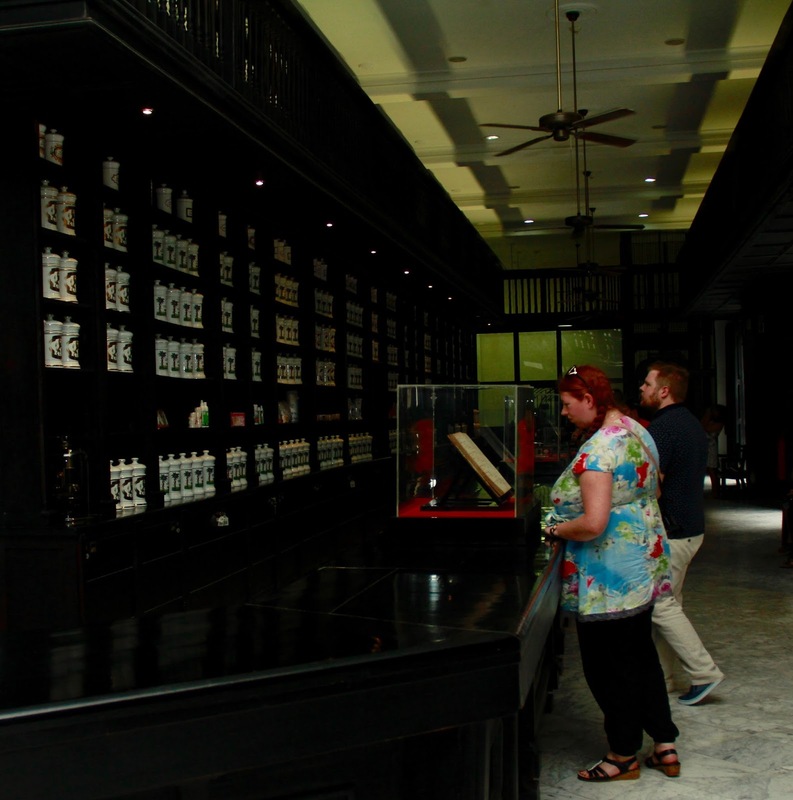 The walls are lined with porcelain jars and it is definitely worth popping in as it gives you a real feel to how times used to be. You can actually still buy medication here too. 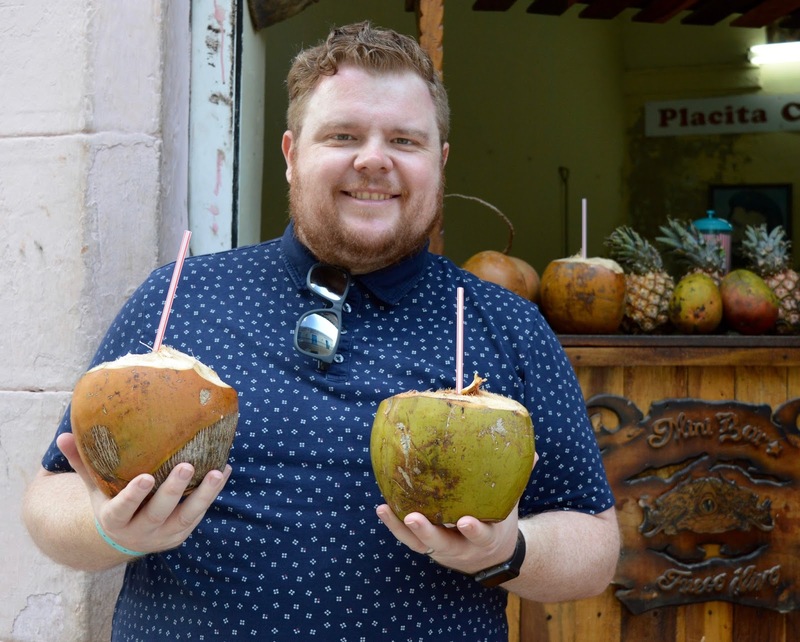 You'll find lots of street stalls and markets in Havana - we skipped the market as we'd already bought what we wanted but Jorge did treat us to some coconut milk straight from the coconut from one of the many coconut stalls dotted around. It was lovely and refreshing in the sunshine and I'd recommend stopping by a stall for a drink when you need a break. I am not sure if this is the route the Havana Memories tour usually takes as the main tunnel in Havana was closed during our trip, but I really enjoyed this experience. 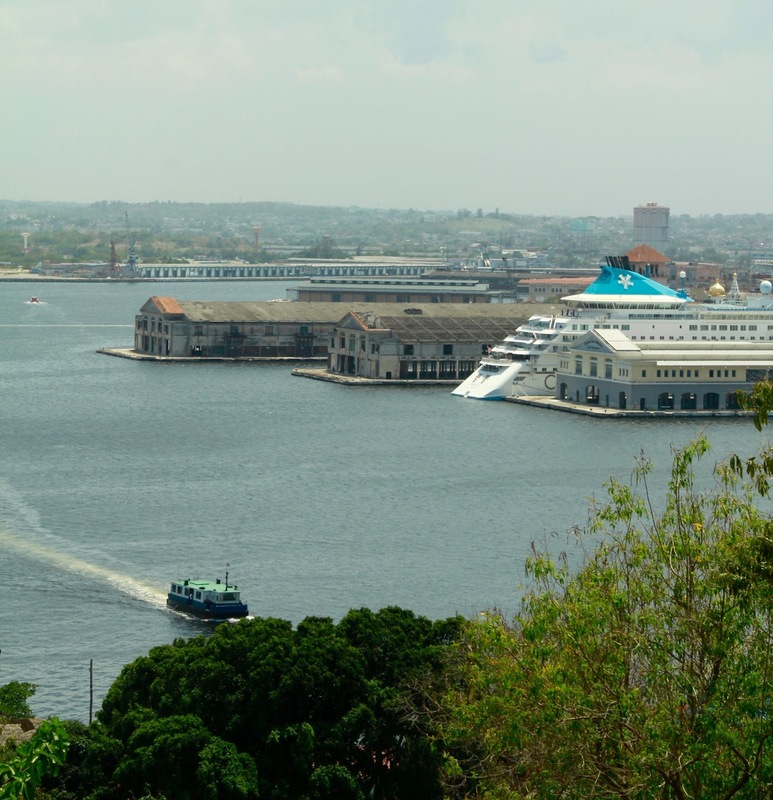 We boarded a passenger ferry at Havana to cross over the CasaBlanca. 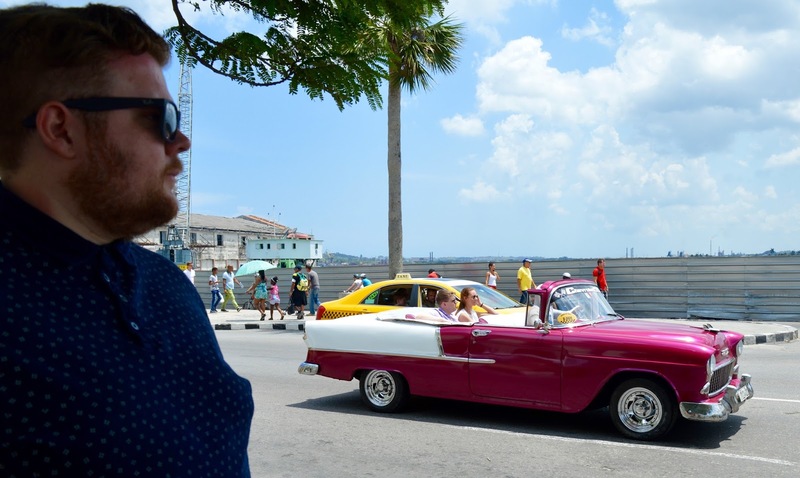 The cost was minimal (Jorge paid) and we were pretty much the only tourists on board as it was packed with locals but it was a fantastic way to see the city and I'd recommend taking a ride if you're in Havana for any length of time. The above picture is of an actual train station - it looks like something out of a movie I think. 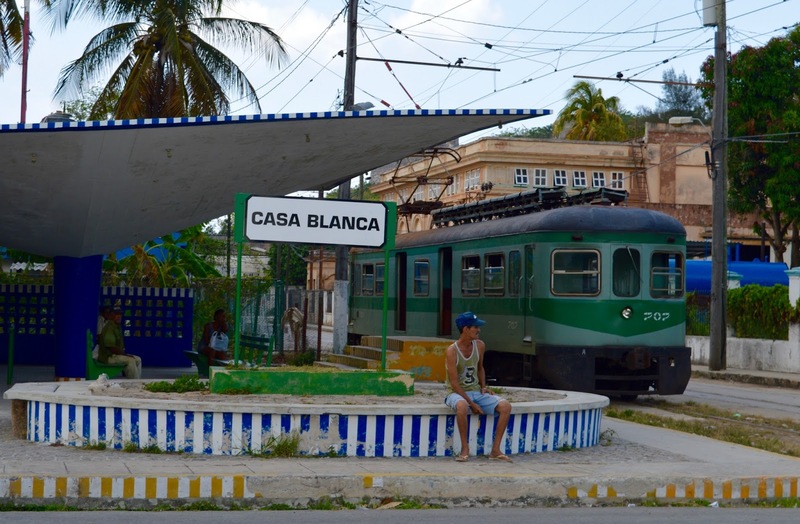 The Hershey Electric Railway is the only surviving electric railway in Cuba and was originally built to transport sugar from the plantations to the port of Havana. Onto lunch, our taxi driver was waiting for us at the ferry terminal and he took us up into the hills and into a Casa for lunch. 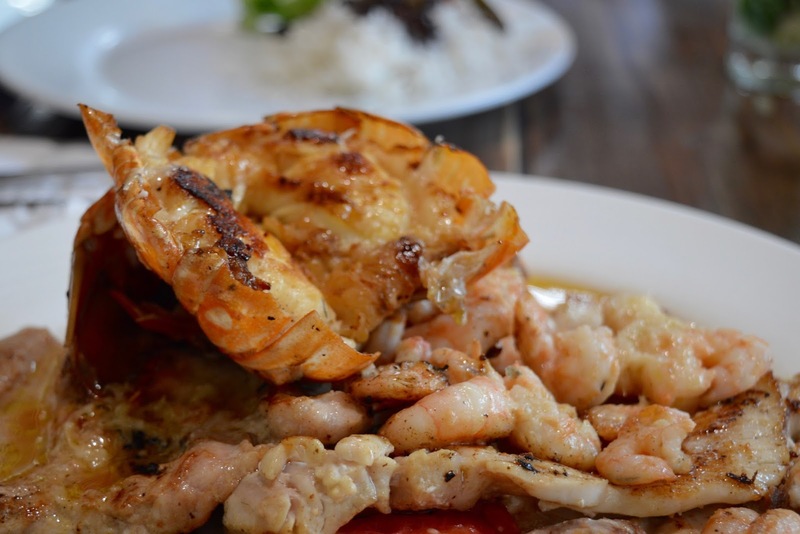 Jorge recommended a few dishes to us and left us alone whilst we enjoyed a leisurely meal. I am not naive and know that Jorge would have received compensation for taking us here - he probably has some sort of deal going on where he's given a free meal or a cut of the takings. I don't mind though, I think all guides in every country are the same. They do have a business to run after all. 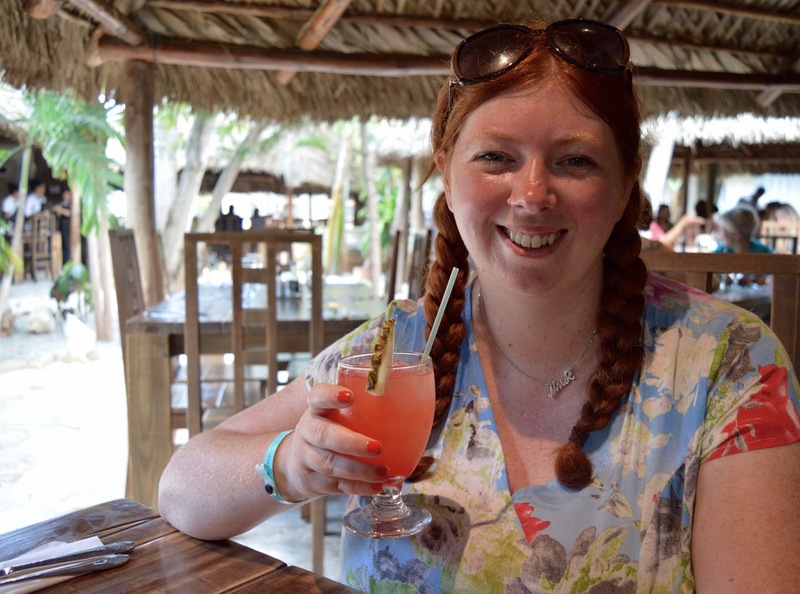 Our meal was over-priced for Cuba but we still really enjoyed ourselves. For around £30 we shared bread, lobster, prawns, pork, chicken, black beans, rice and salad plus 2 cocktails. 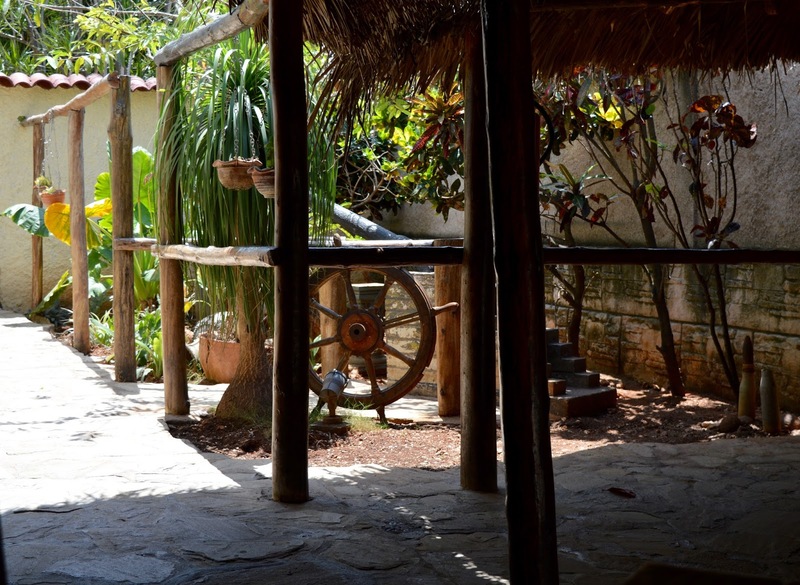 The restaurant was small, off the beaten track, had the cutest chickens scratching around the grounds and a Cuban band playing too. We would never have found this place ourselves so although we paid over the odds, we were still pleased with our lunch. £30 to us Brits is still a bargain for what we ate. The prawns and lobster were both especially delicious. 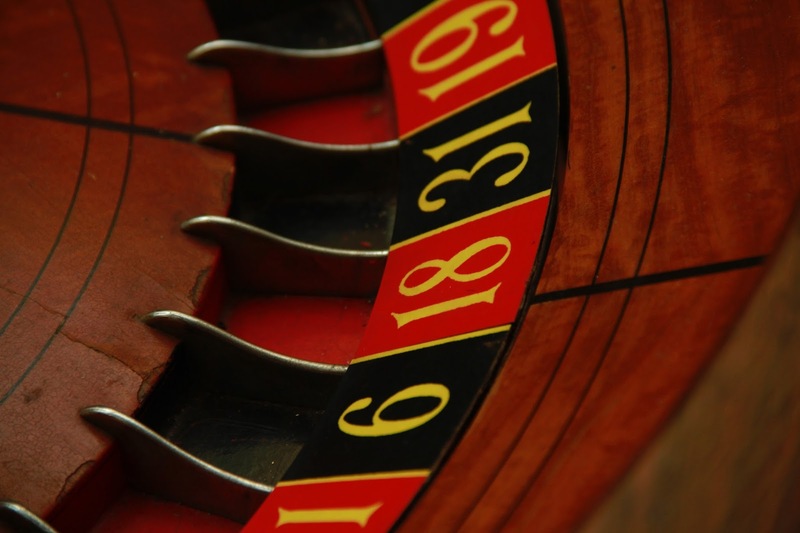 Although guides are probably compensated for bringing tourists here, it's in their best interests to bring them somewhere nice as they don't want any bad reviews which can impact on their business long-term. 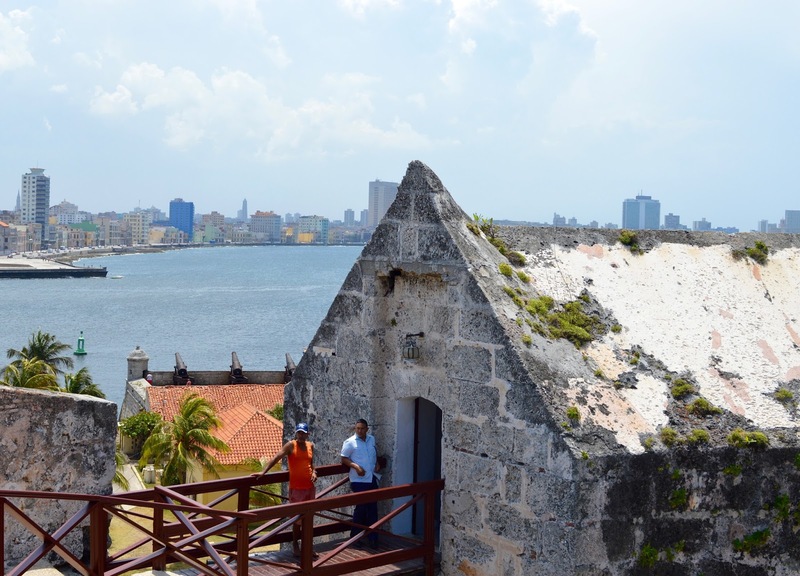 Once we'd settled our bill, we joined Jorge and our driver Yusiel and paid Morro Castle and Christ of Havana a visit. 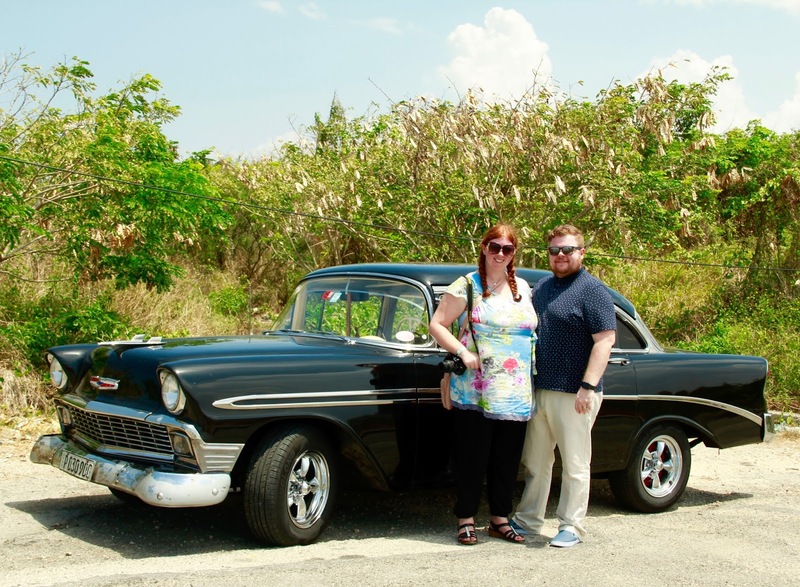 We listened as Jorge explained the history of these places whilst taking in the gorgeous views of Havana and of course posing for a couple more photographs. 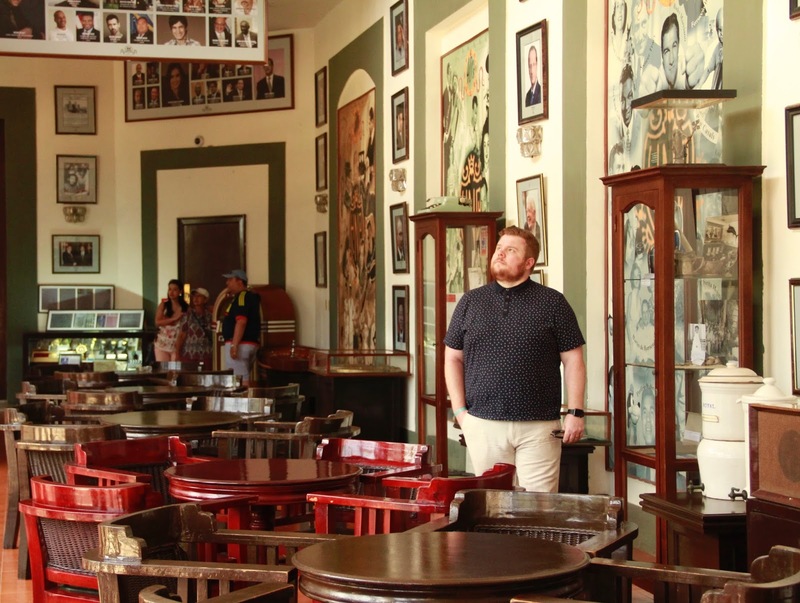 One of the reasons I especially loved our tour with Havana Memories was that we had plenty of time to chat with Jorge about what life in Cuba is really like. 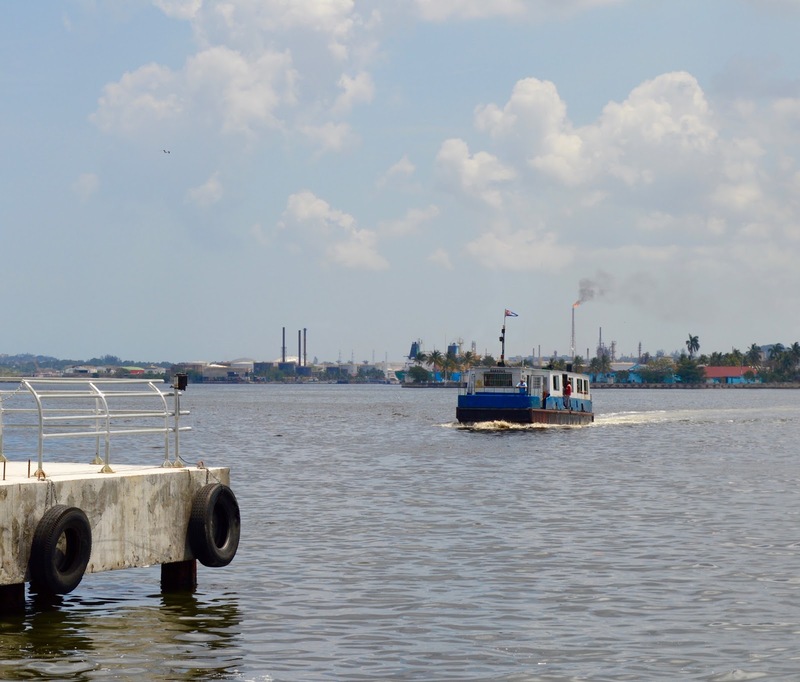 For example, we learned that our driver was frustrated at paying such high taxes to the government yet they placed so many restrictions on his business. 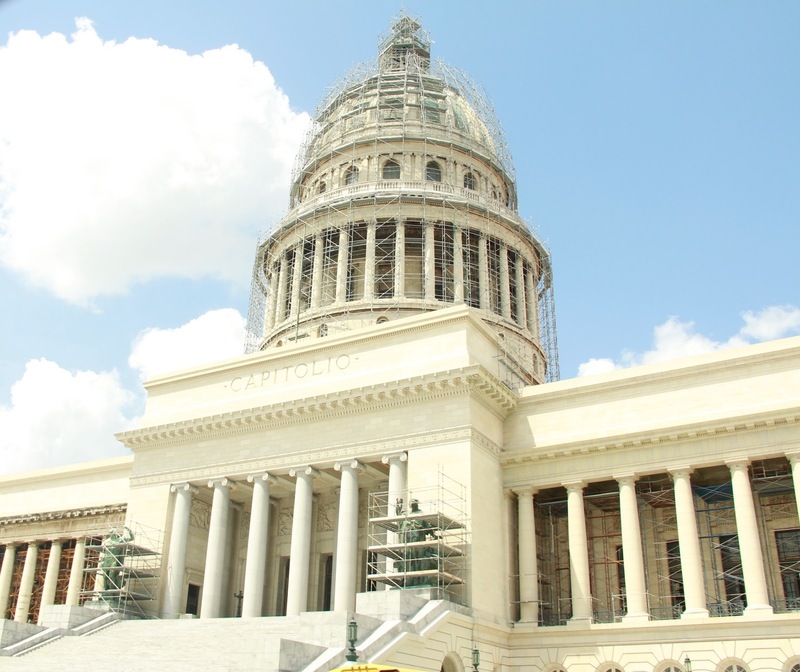 I asked about University and University is free to every Cuban citizen. 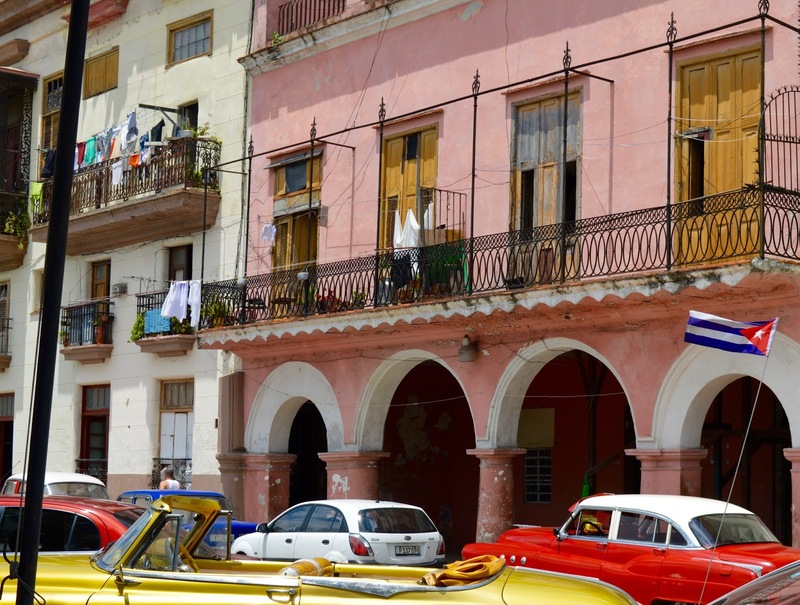 Cuba provides 1 doctor for every 170 residents which is the highest ratio in the world after Italy. 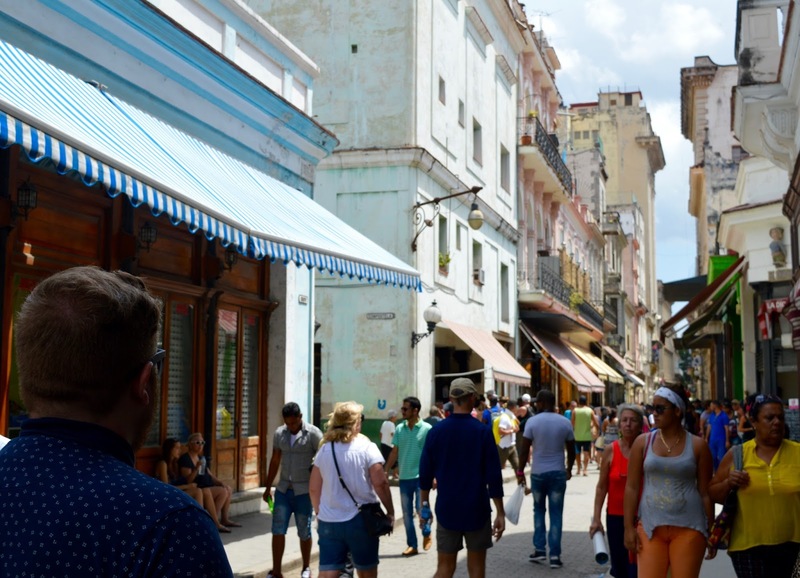 However doctors are paid less than those working in the tourism industry and Jorge explained that once you've received your university training, it is very difficult to leave the country and use your skills in another part of the world which can leave Cubans feeling trapped and unhappy. Jorge repeatedly told us that he didn't like communism and feels like it doesn't work. He particularly didn't like all of the restrictions the government can place on you when you're trying to run your own business. 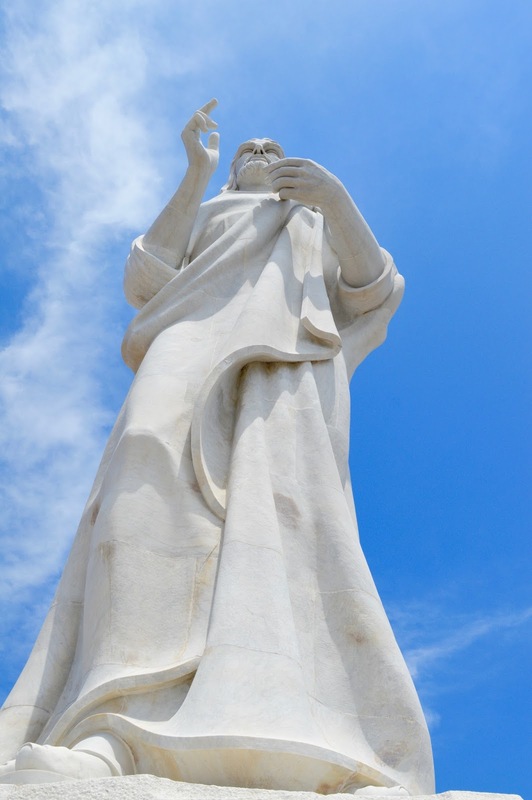 Christ of Havana was our last stop of the day. We were tired and had taken in a lot. 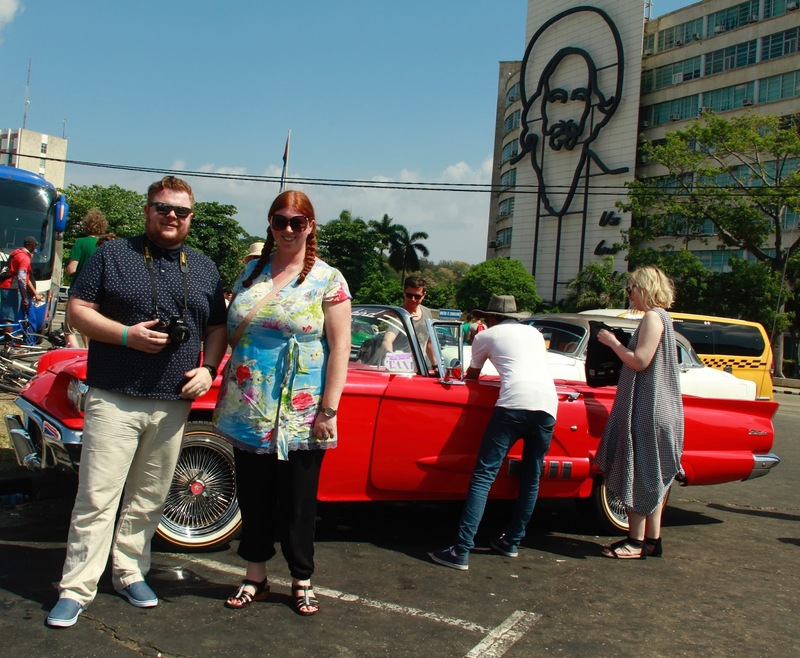 Our whistle-stop tour of Havana definitely gave us a flavour of the city and we cannot wait to return one day. 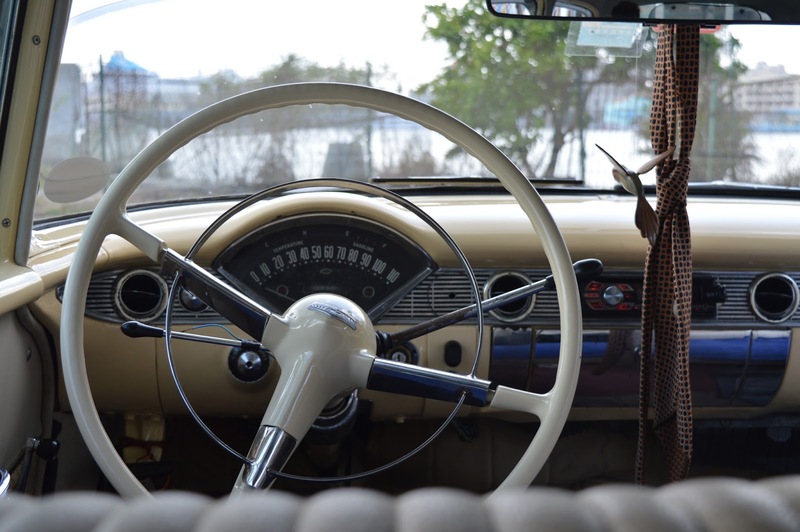 Our '56 Chevvy was air-conditioned and the journey home was a comfortable one. We stopped off at a doctor's surgery in Varadero on our way home so Jorge could collect his wife's blood results (the surgery closed at 5pm and we got there just in time). Again, I didn't mind this at all as it gave us a little more insight into Cuban life and took us to places a big bus tour wouldn't have. 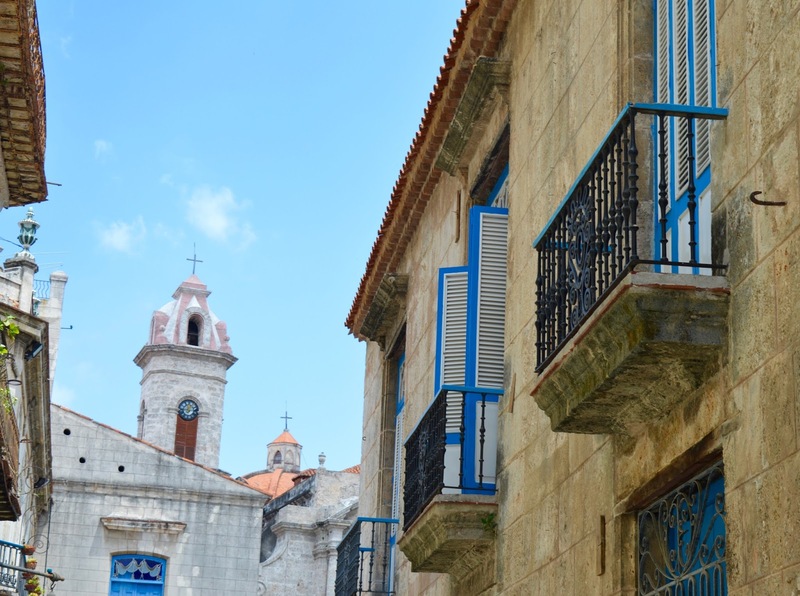 We arrived back at our hotel not long after 5pm, paid Jorge and our driver (with a tip) and spent some time chatting about other places we could visit in Cuba during our next trip. 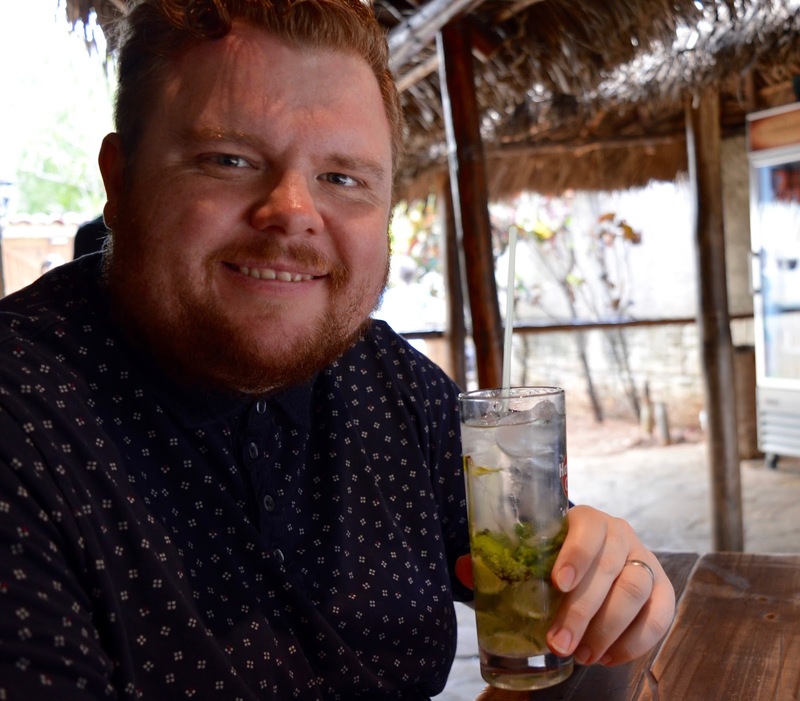 We cannot recommend Jorge and Havana Memories enough. 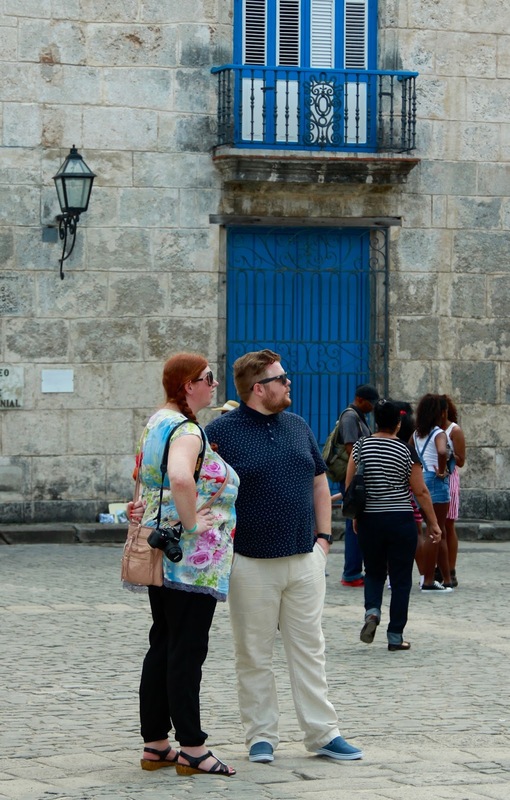 We squeezed so much into our day, had the opportunity to chat with real locals and think that travelling with a local is definitely the way to see Havana. Jorge's knowledge was outstanding. 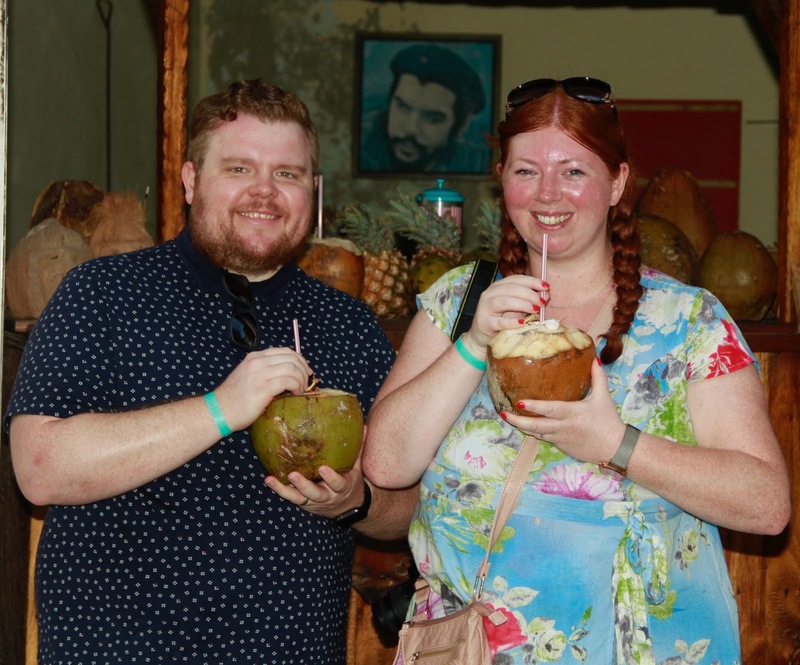 We felt like we managed to see all of the main sites as requested but also tried some of the lesser known experiences such as travelling on the Cuban ferry, drinking coconut milk from a coconut, slipping in and out of live music bars that would have otherwise passed us by and of course, having our own private photographer with us. 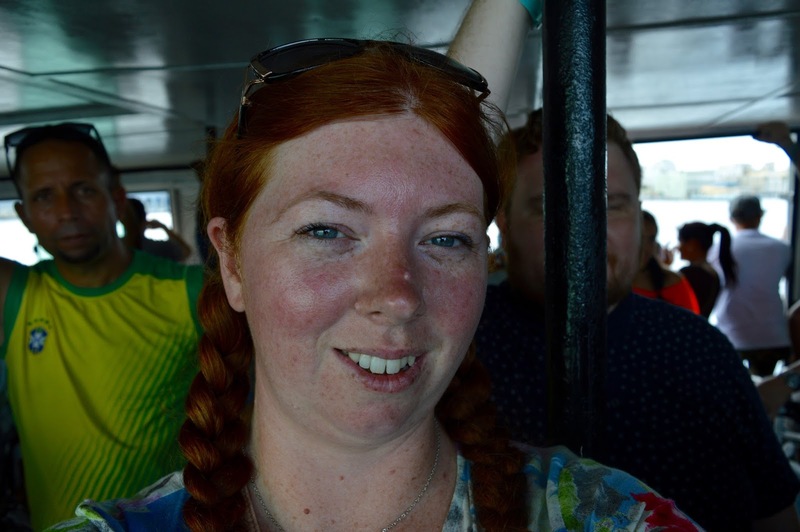 The cost of our private trip would actually work out cheaper than the Thomas Cook bus trip if we did not purchase the photo package and it wasn't much more with photos. 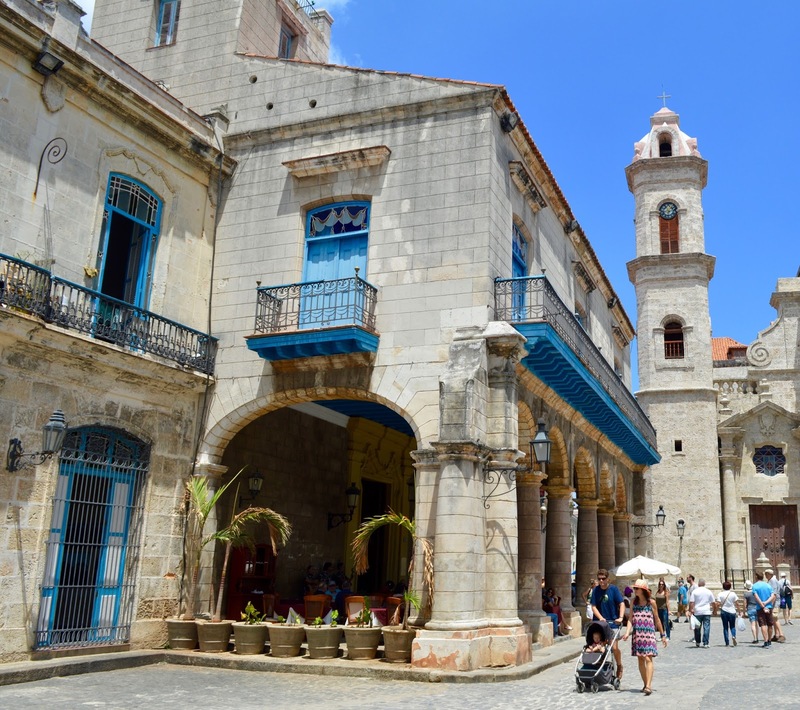 If you're looking for a trip to Havana which will show you the sites and allow you to get a real feel for the city, Havana Memories will definitely not disappoint. 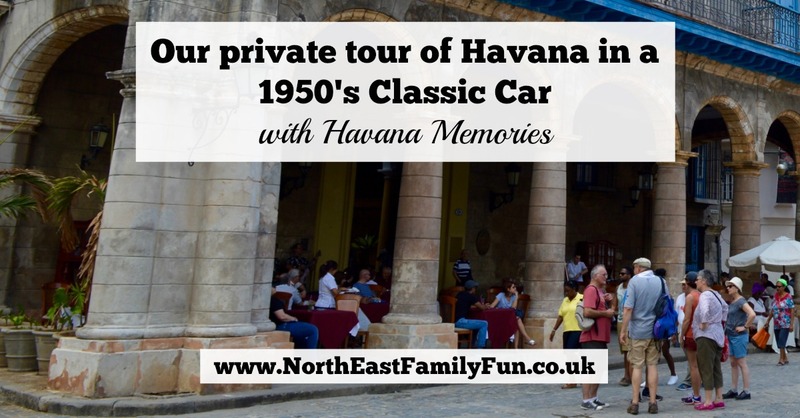 Find out more about Havana Memories and enquire about your own tour here. thank you so much for the information on Havana Memories... 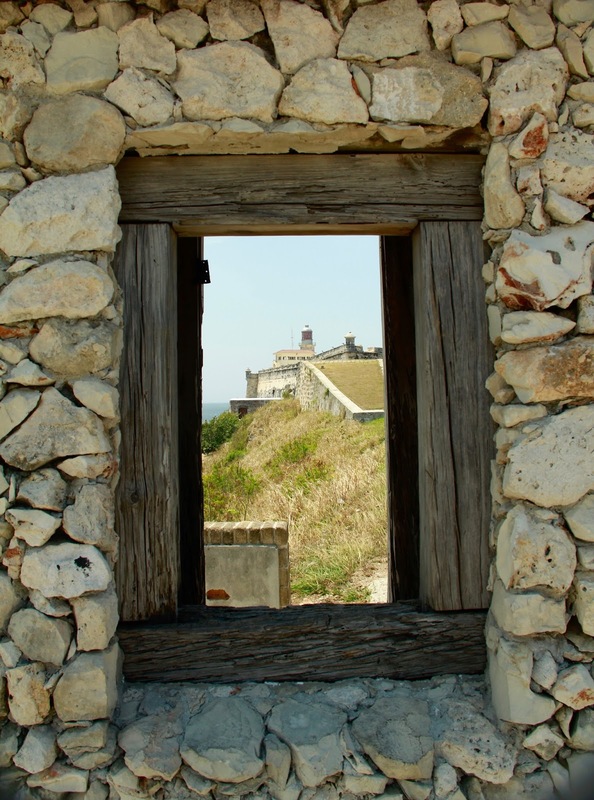 I saw that the company received many favorable reviews on Trip Advisors...but your personal blog really touched the essence of using this company. We will be traveling to Havana in August and are considering using this company based on your review.